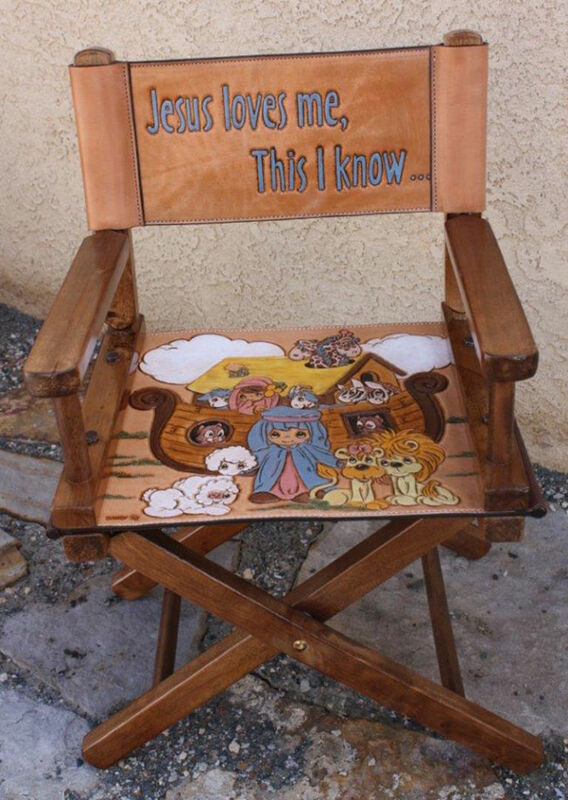 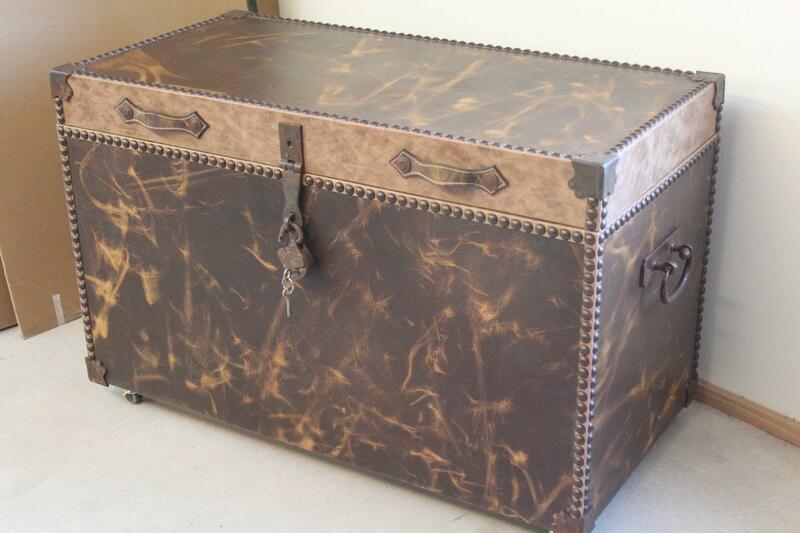 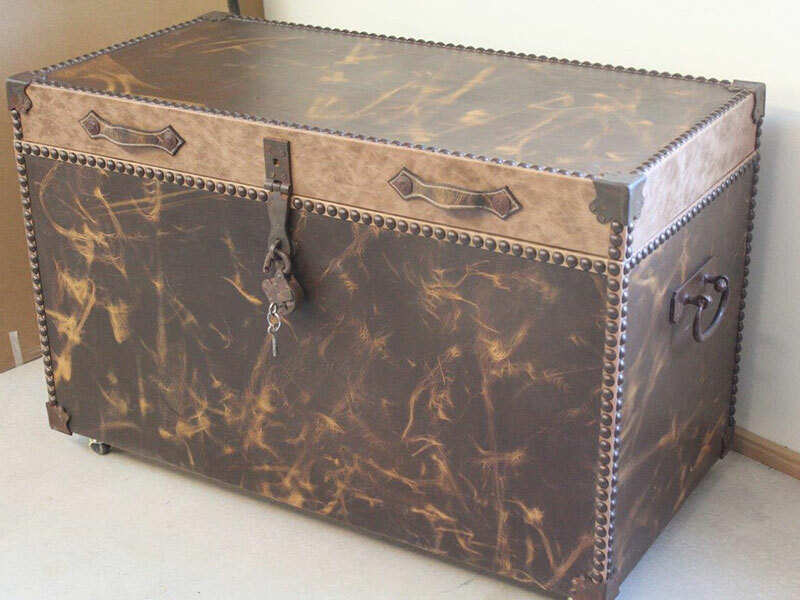 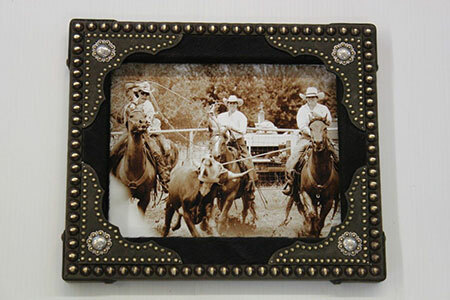 Standard size is 36” x 20” but can be custom size and customized design. 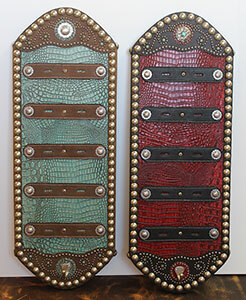 Choice of leathers. 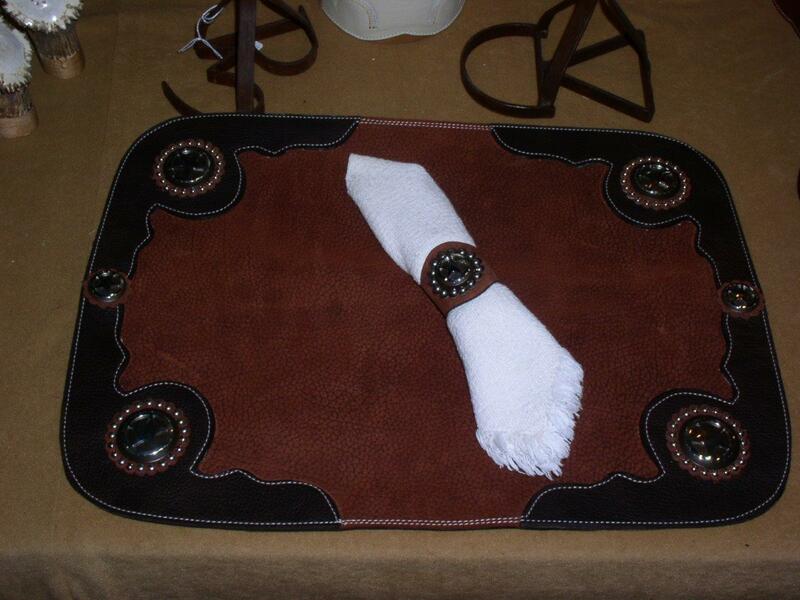 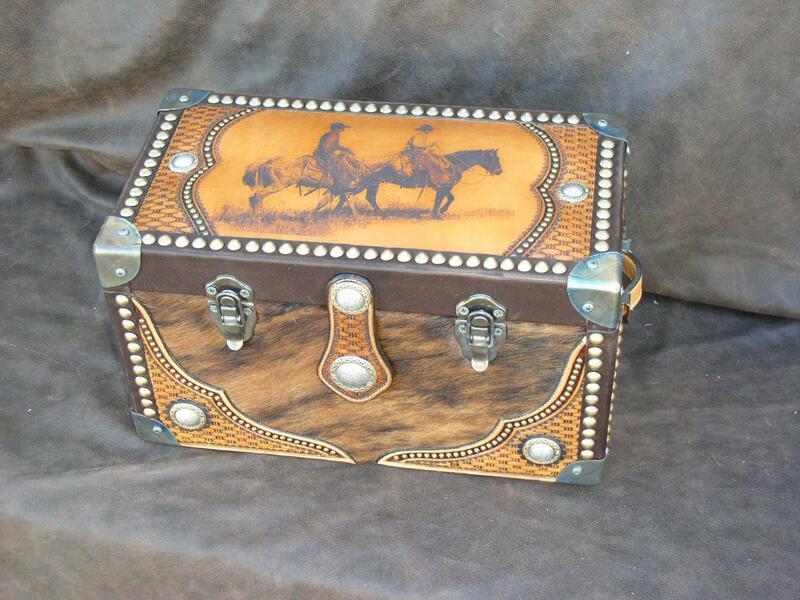 Straps screw on and hold 5 buckles plus hook at bottom for a set of spurs, headstall or ribbon 10” x 28”. 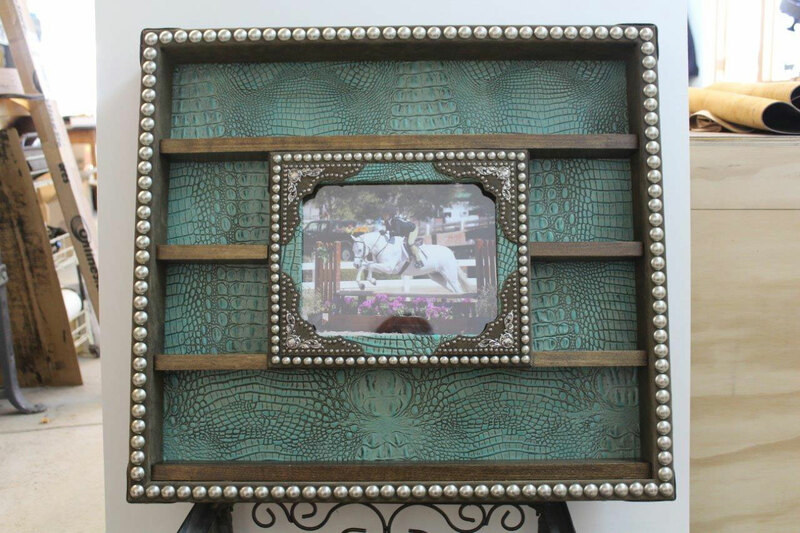 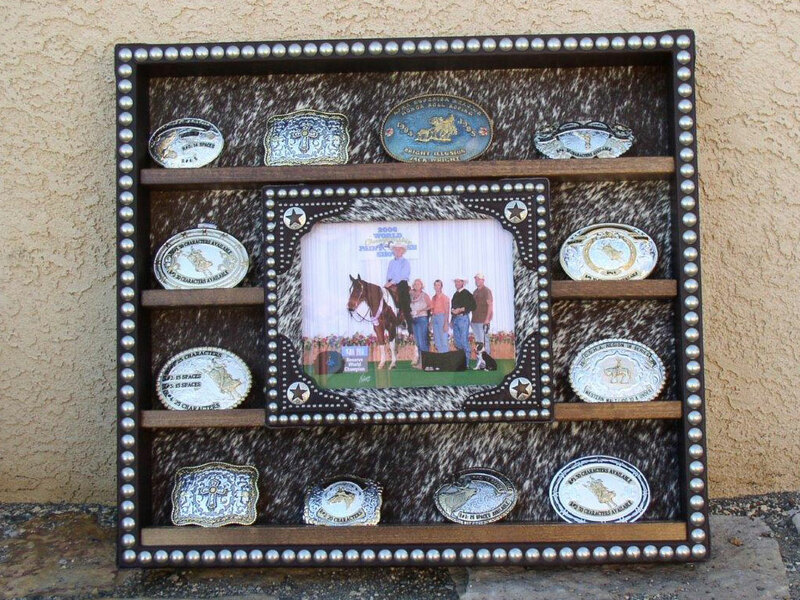 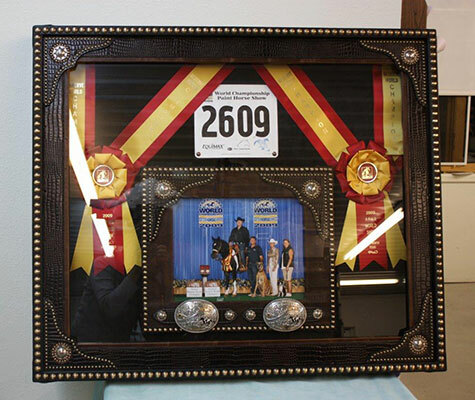 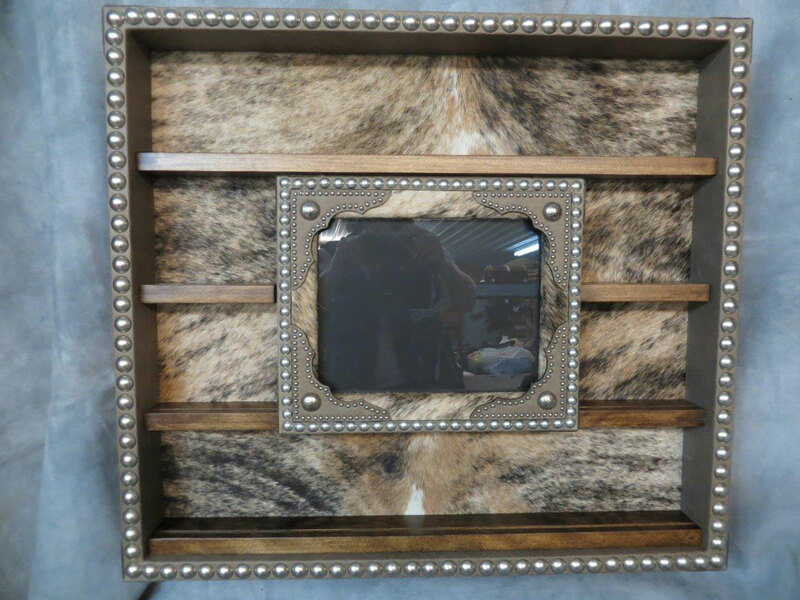 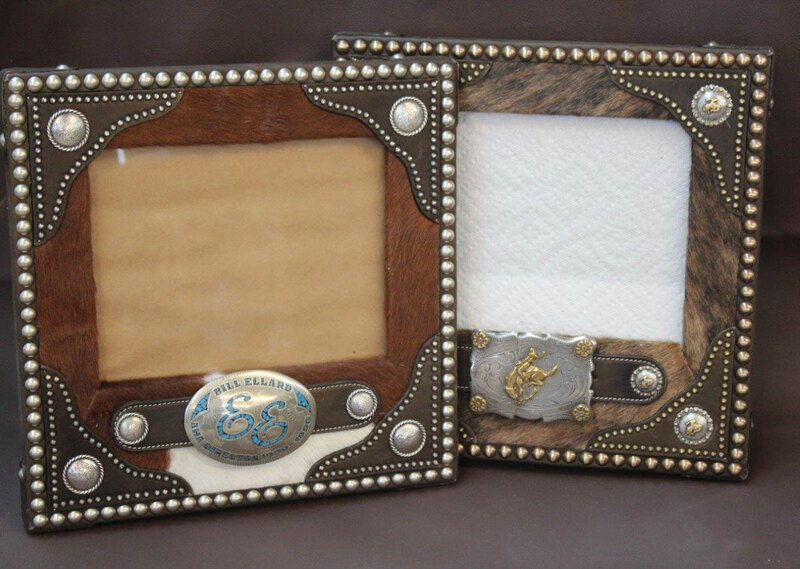 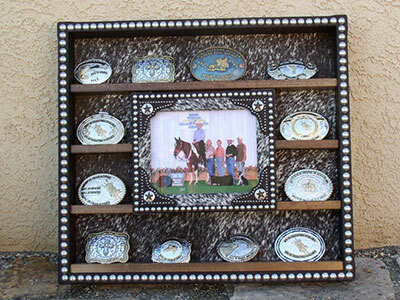 This buckle display features a removable 8 x 10 frame and wood shelves with diagonal saw cuts to hold your buckle collection. 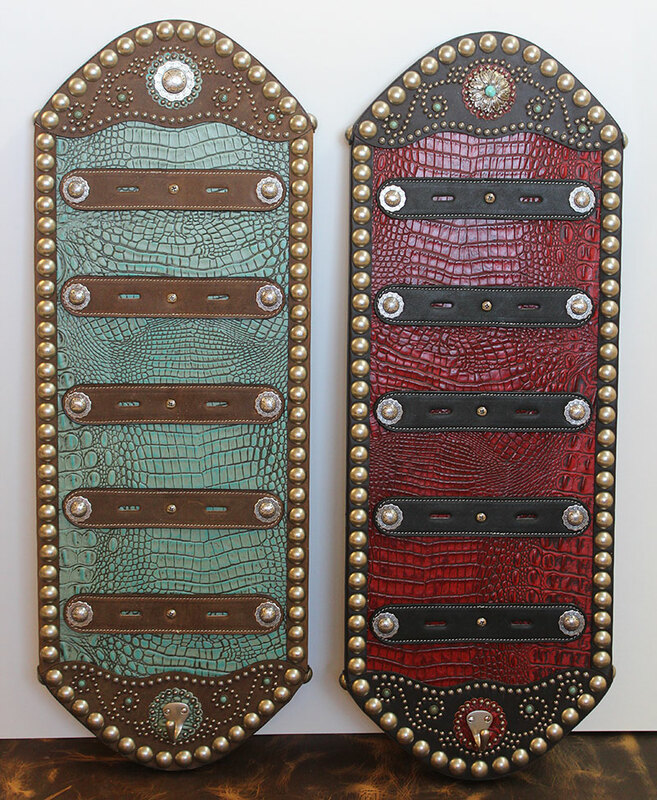 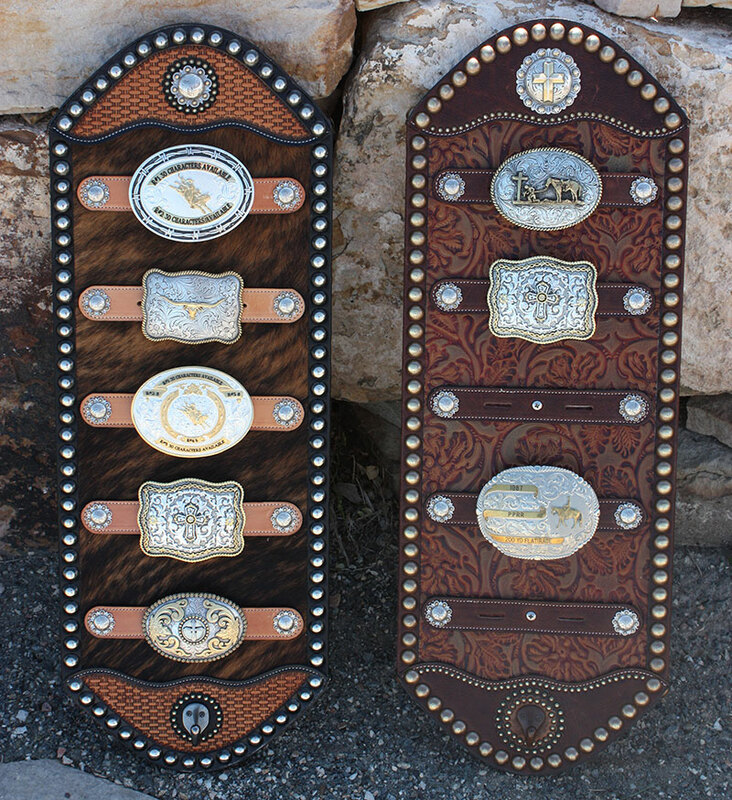 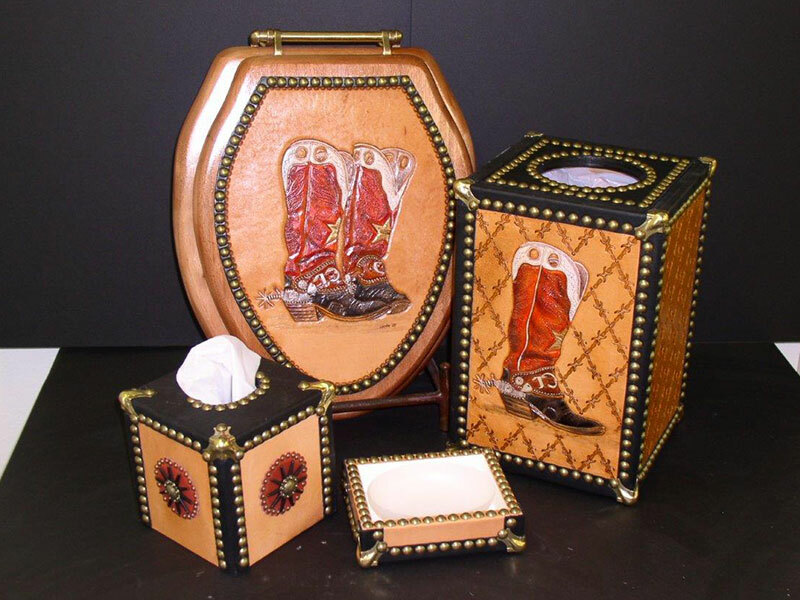 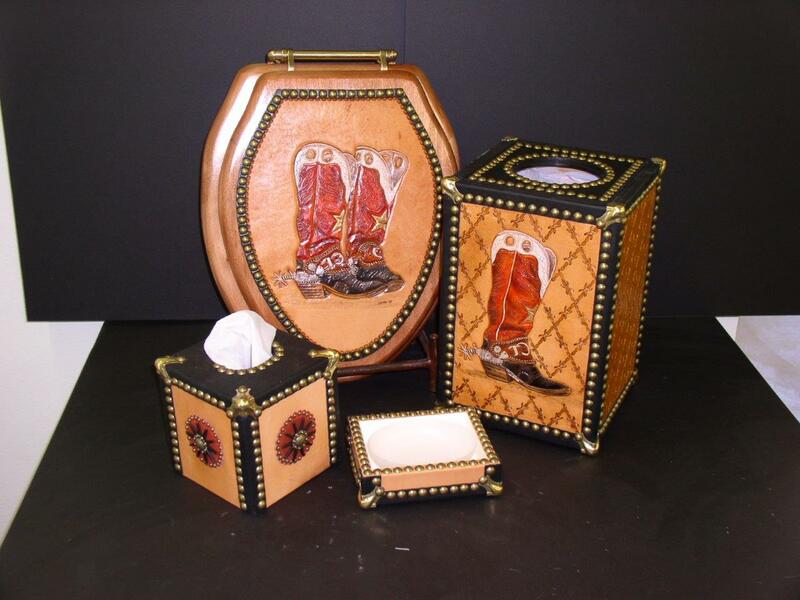 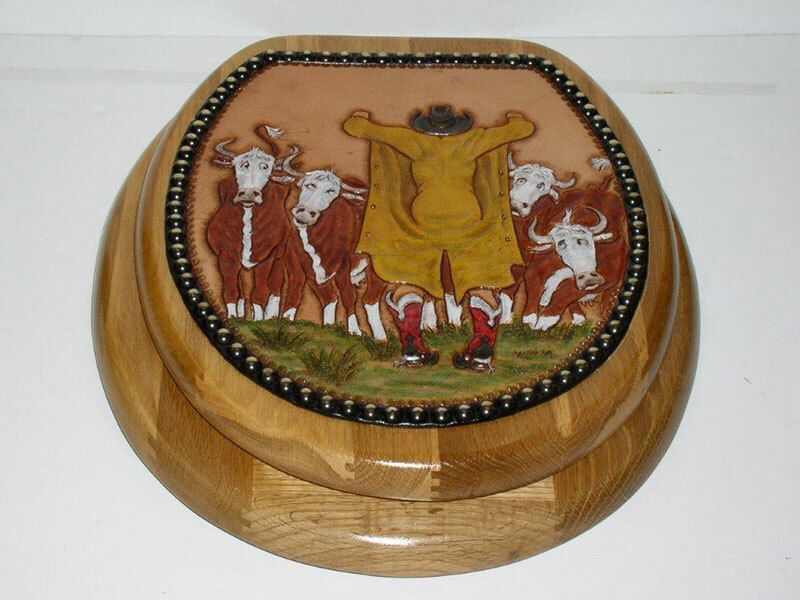 Choice of leather, railheads and conchos. 24” x 26”. 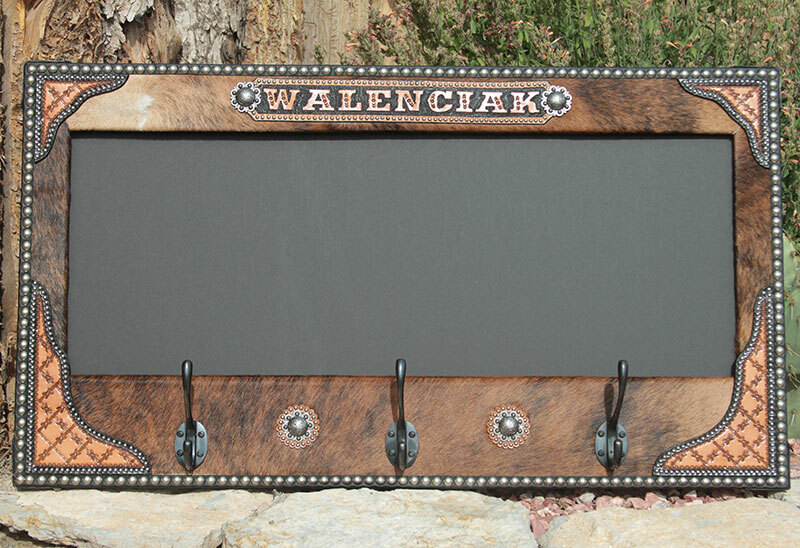 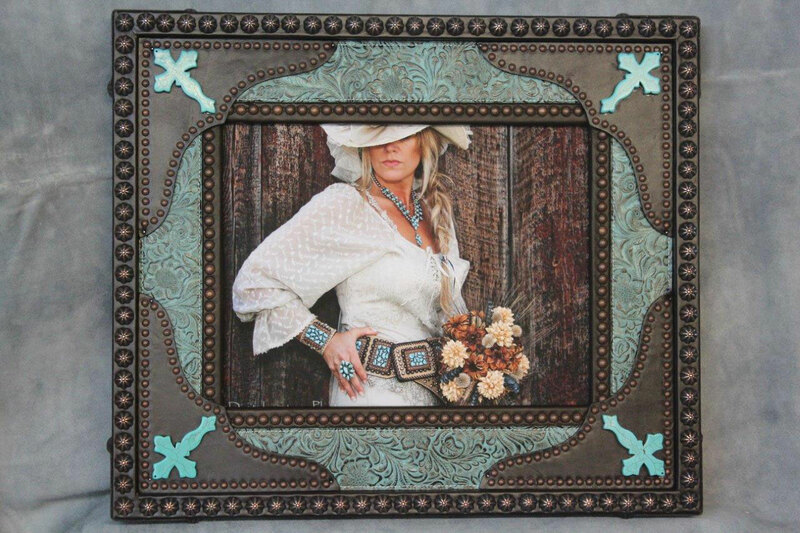 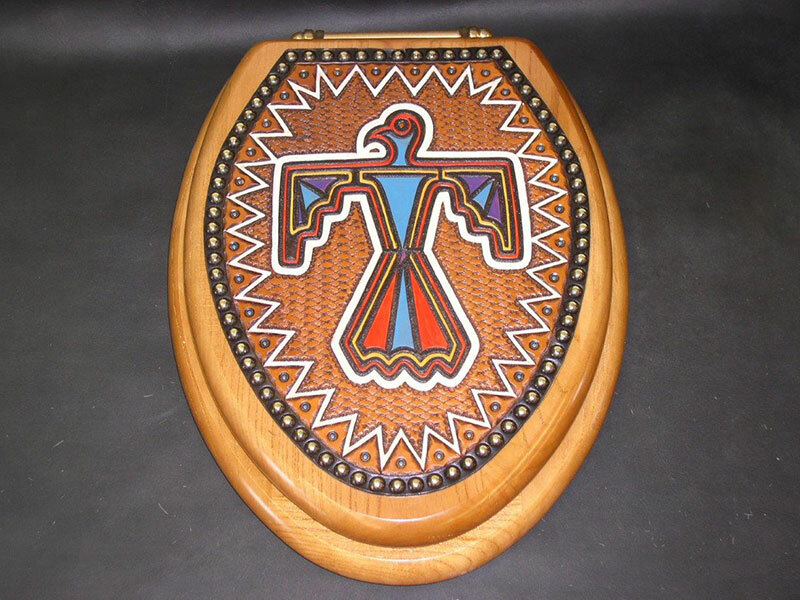 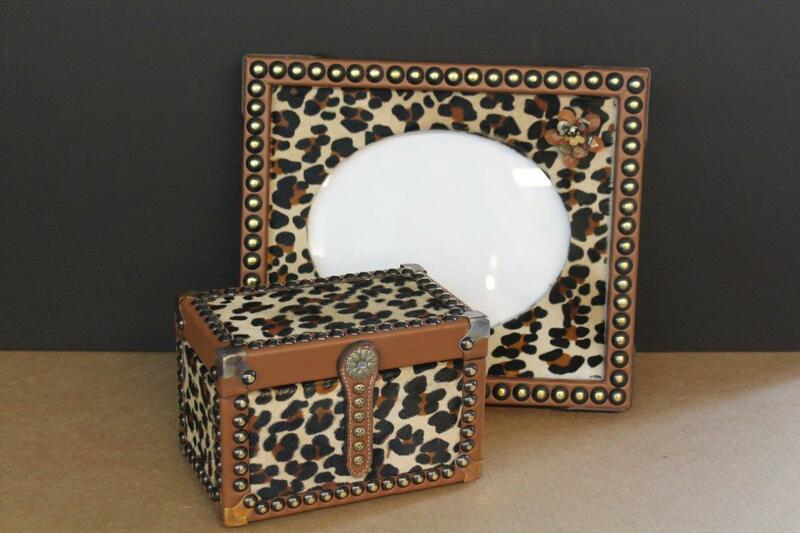 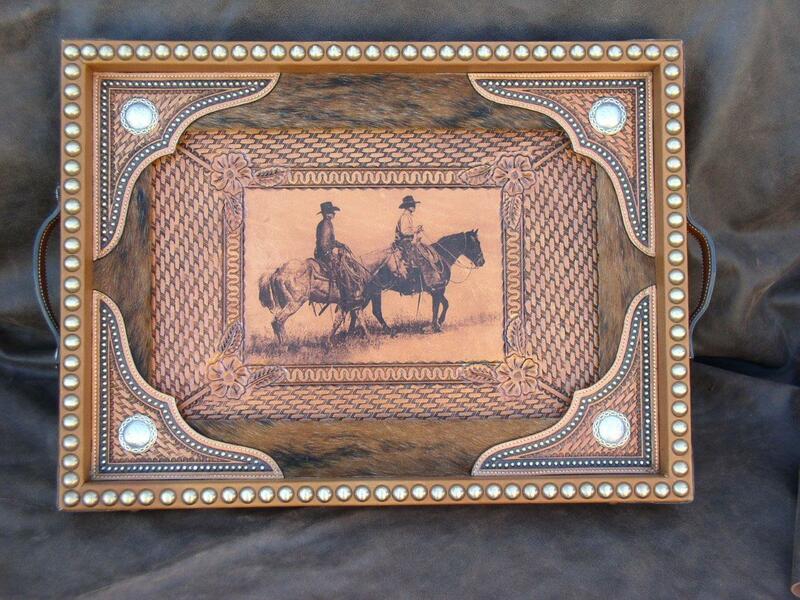 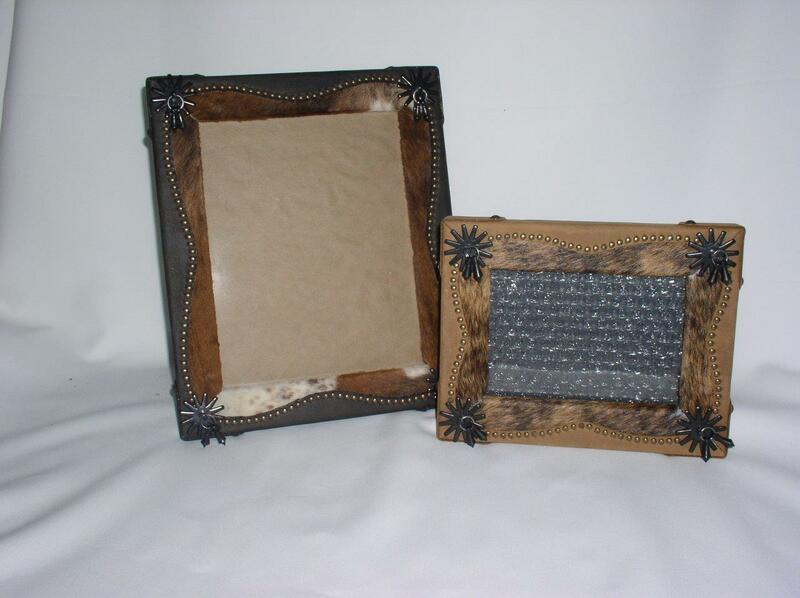 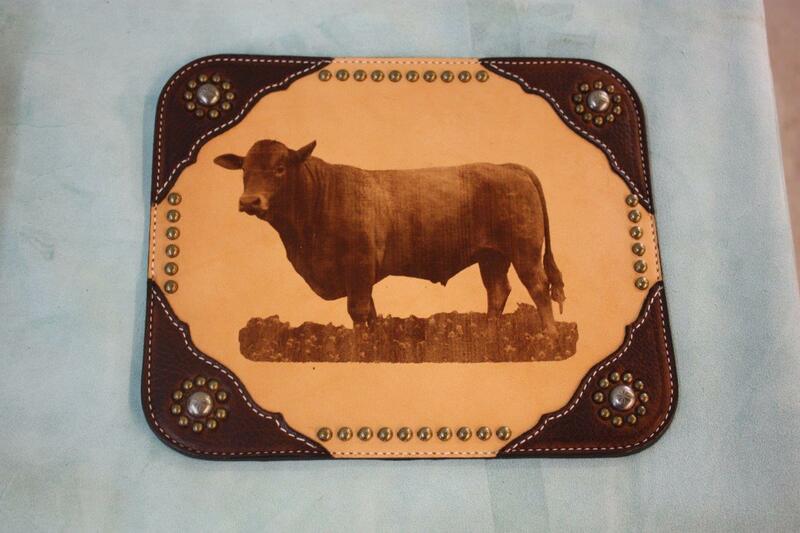 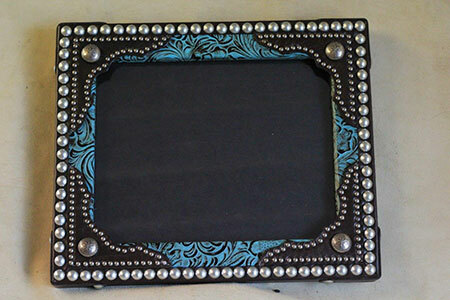 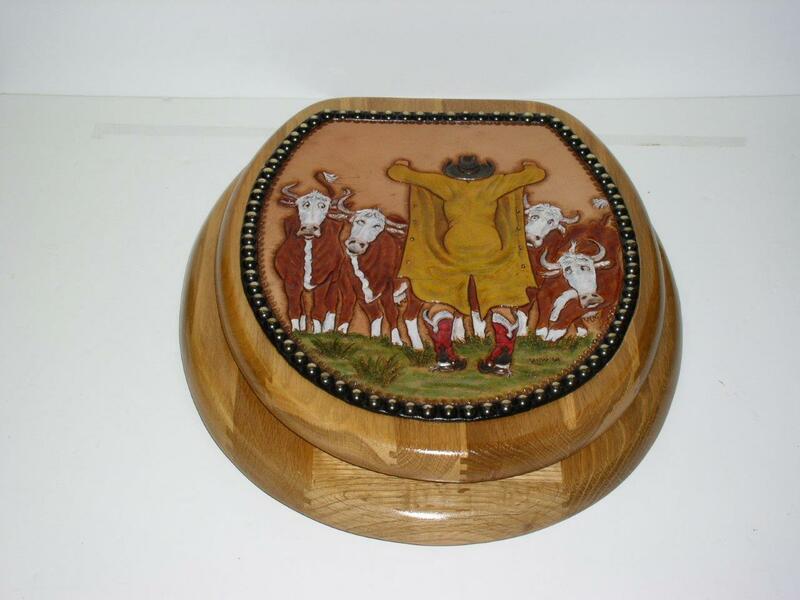 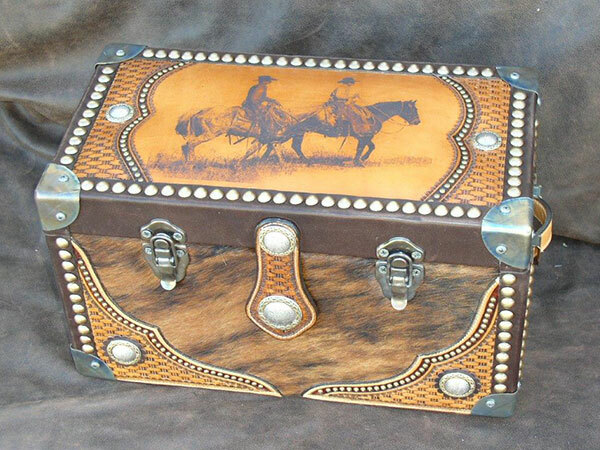 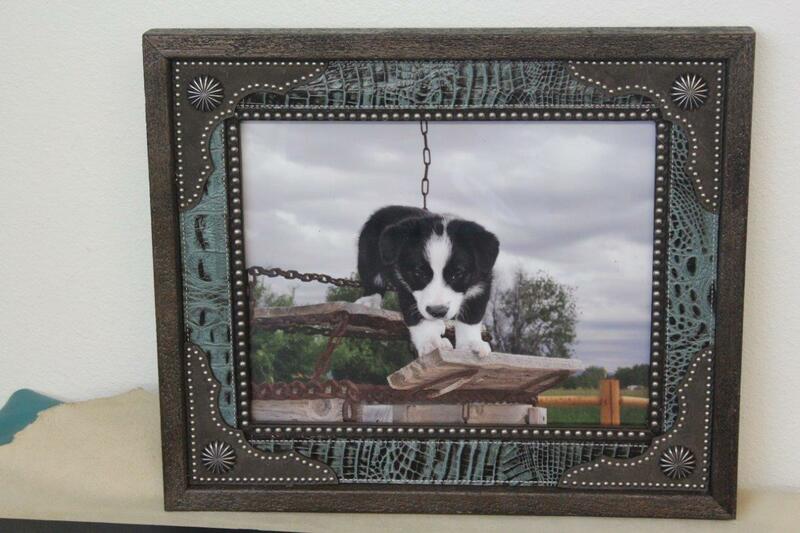 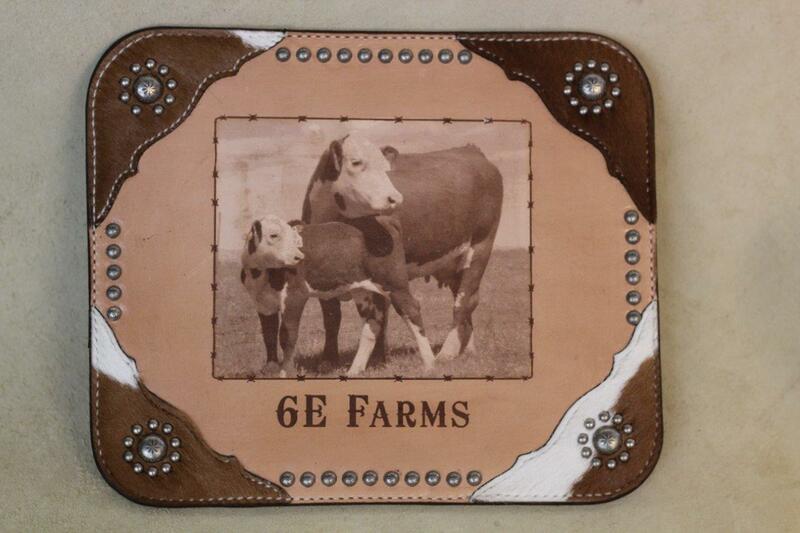 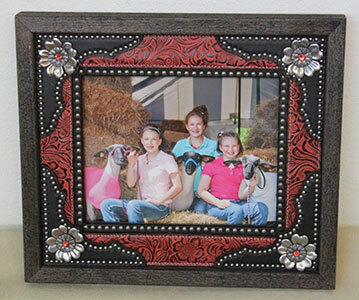 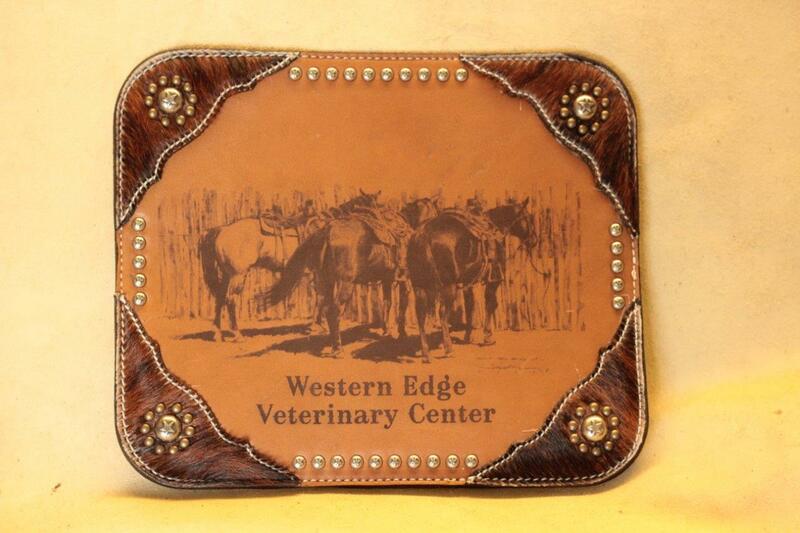 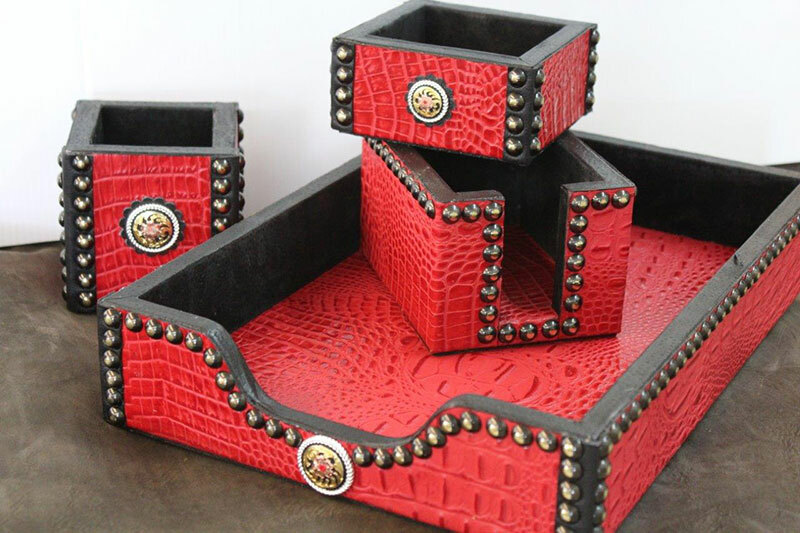 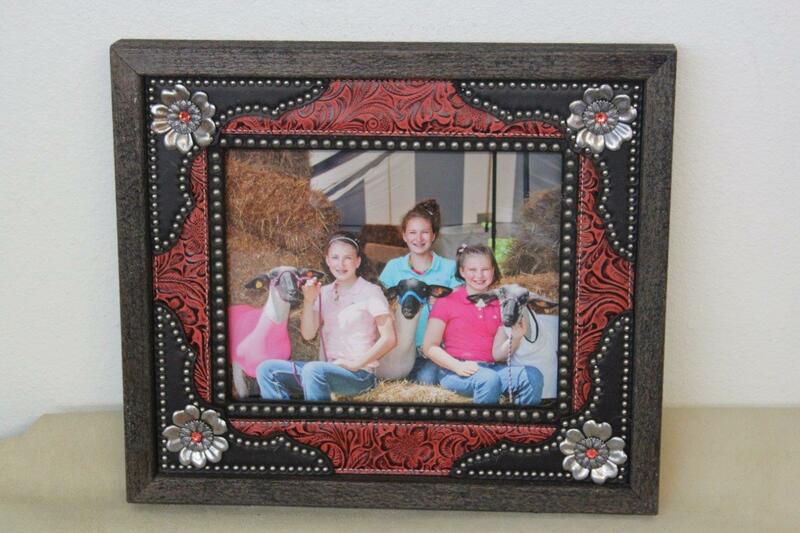 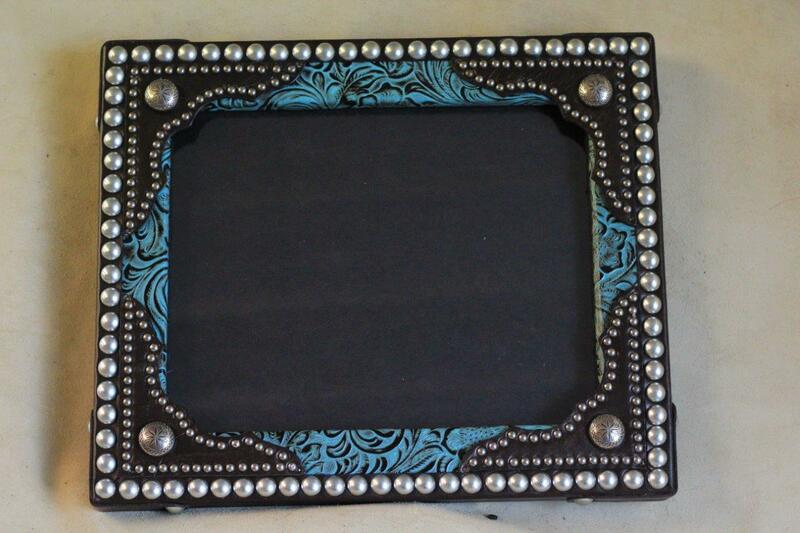 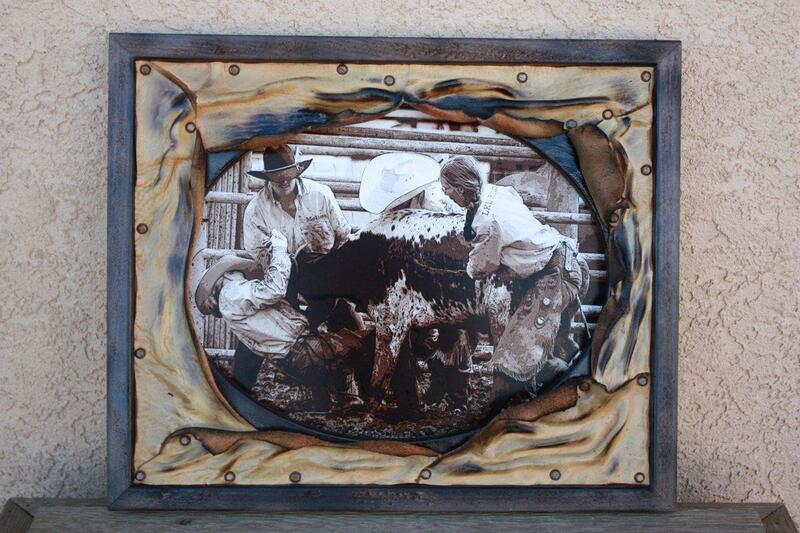 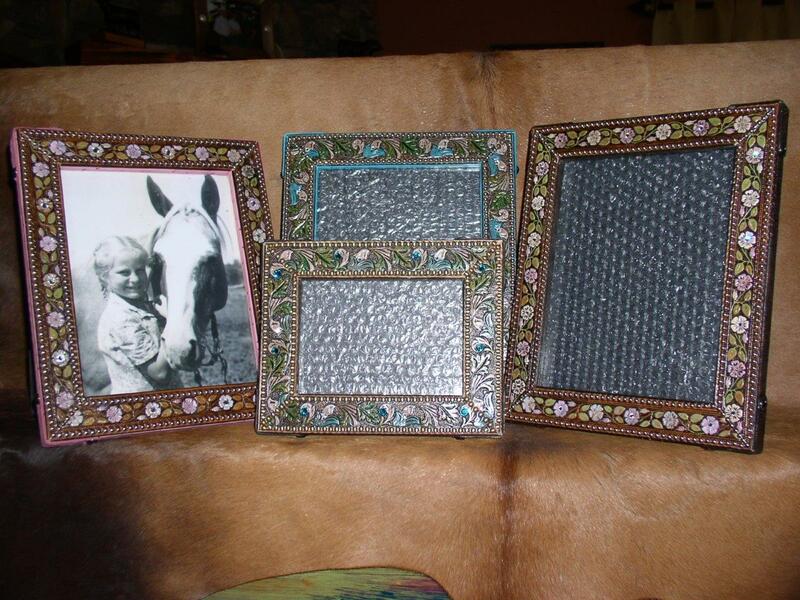 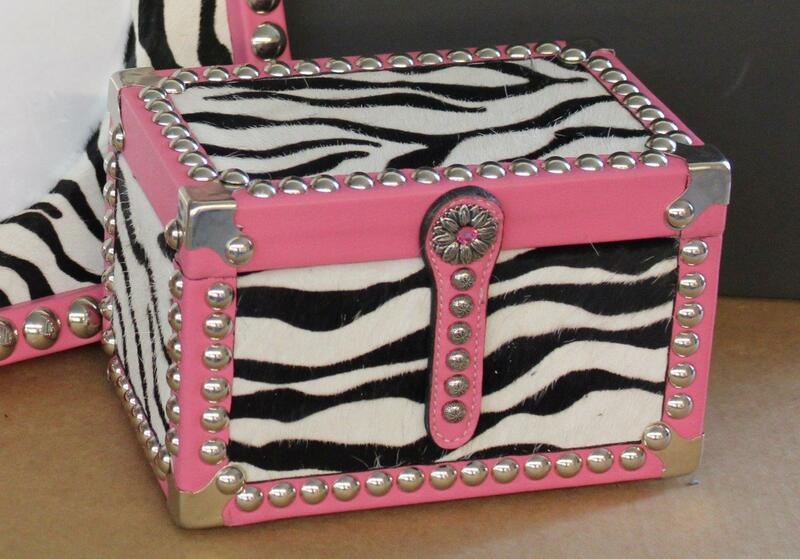 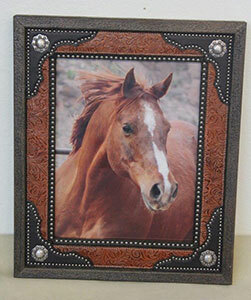 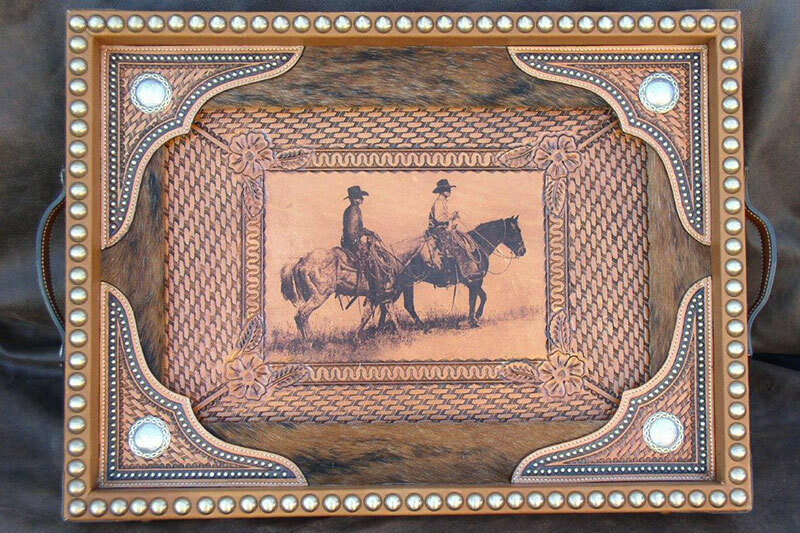 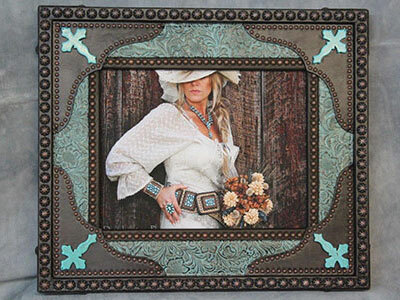 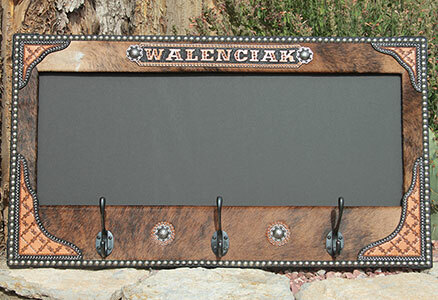 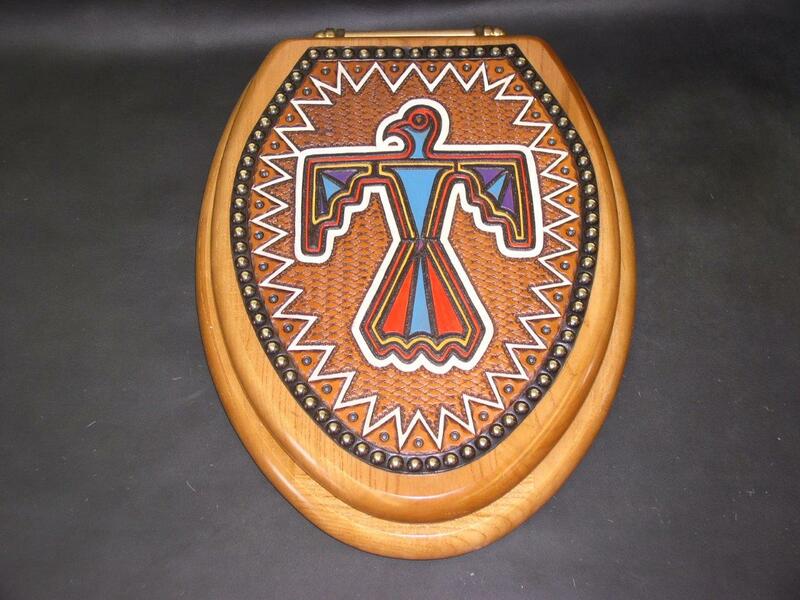 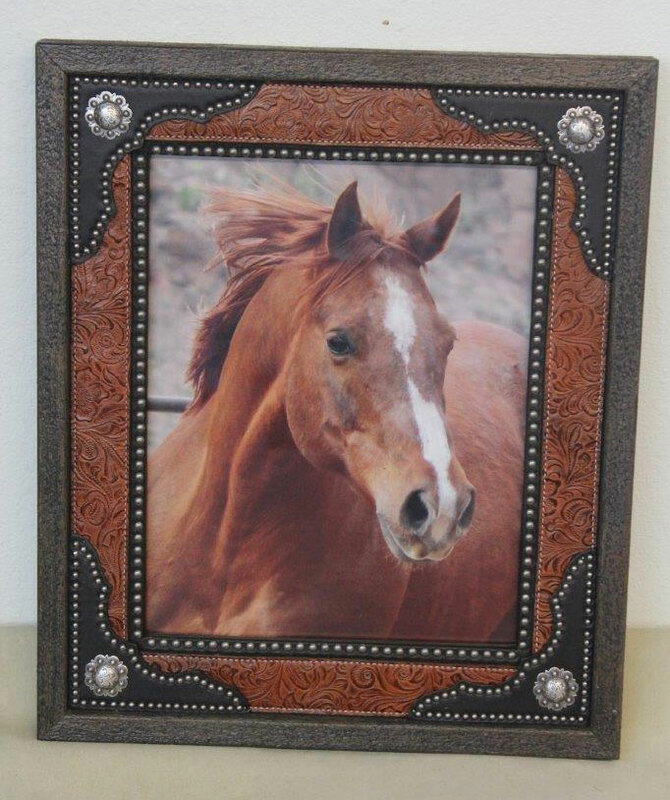 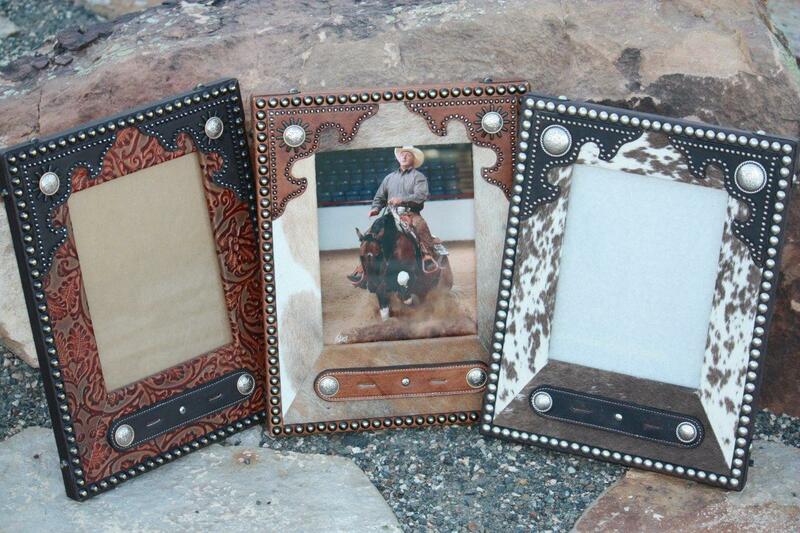 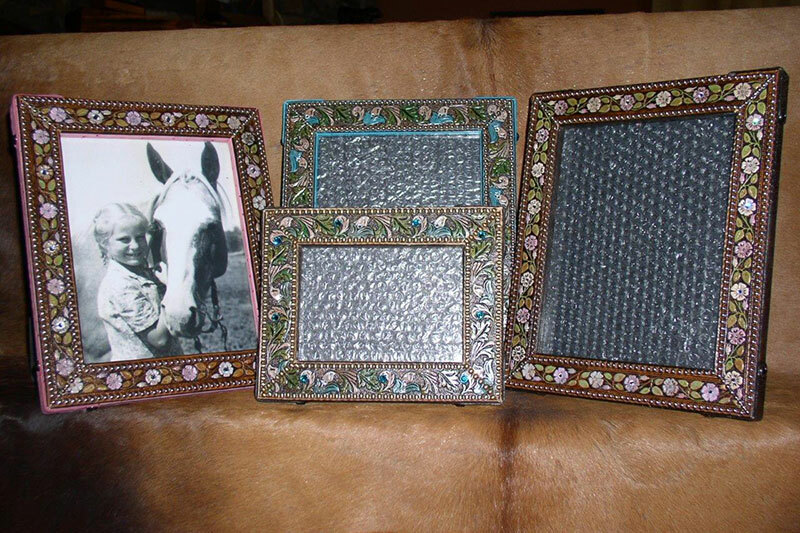 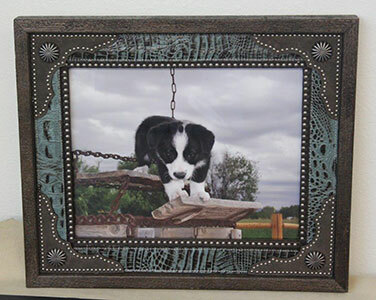 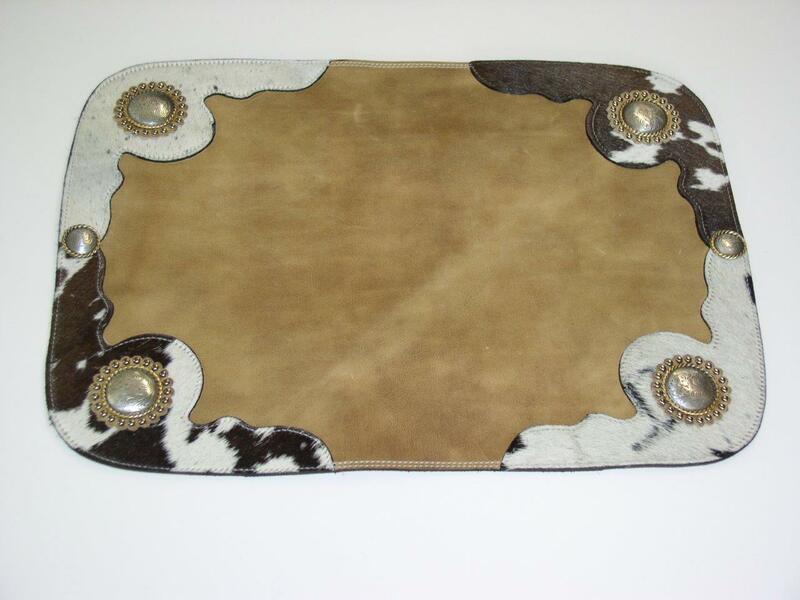 Holds 8 x 10 picture and buckle. 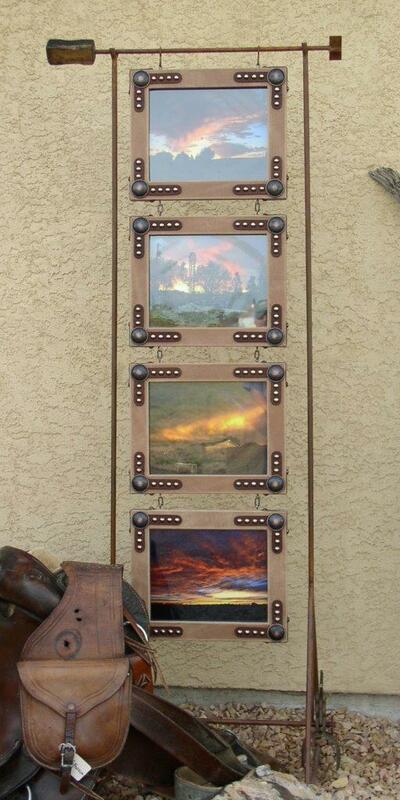 Available for either landscape or portrait orientation photo. 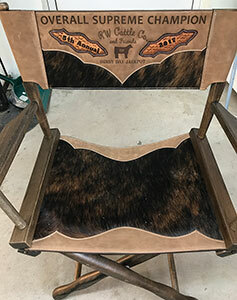 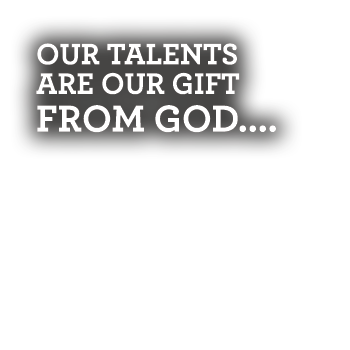 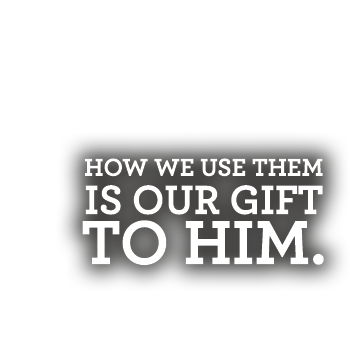 PRICE: Ask for custom quote. This piece was created for those out of wall space or have a long narrow space to fill. 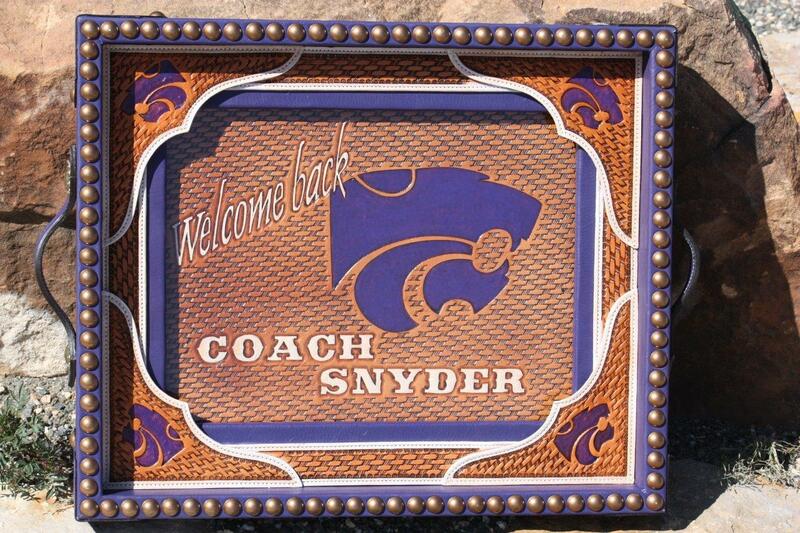 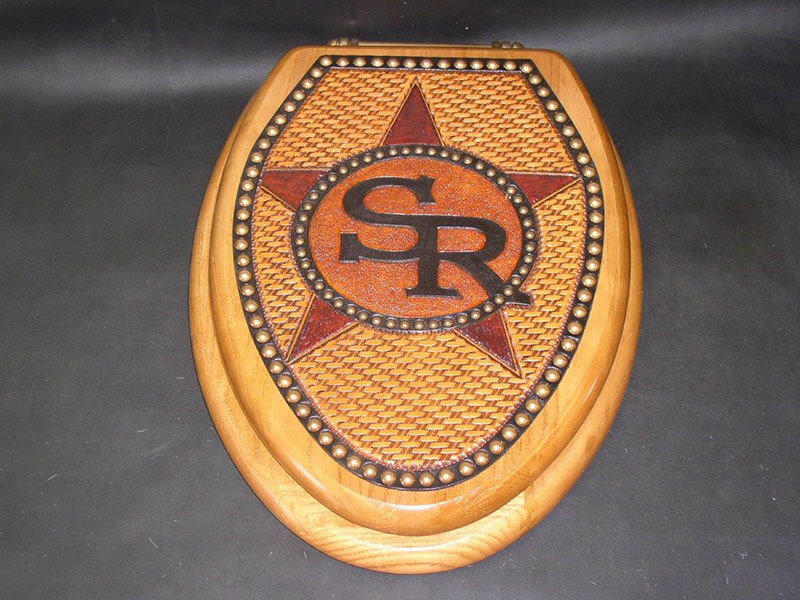 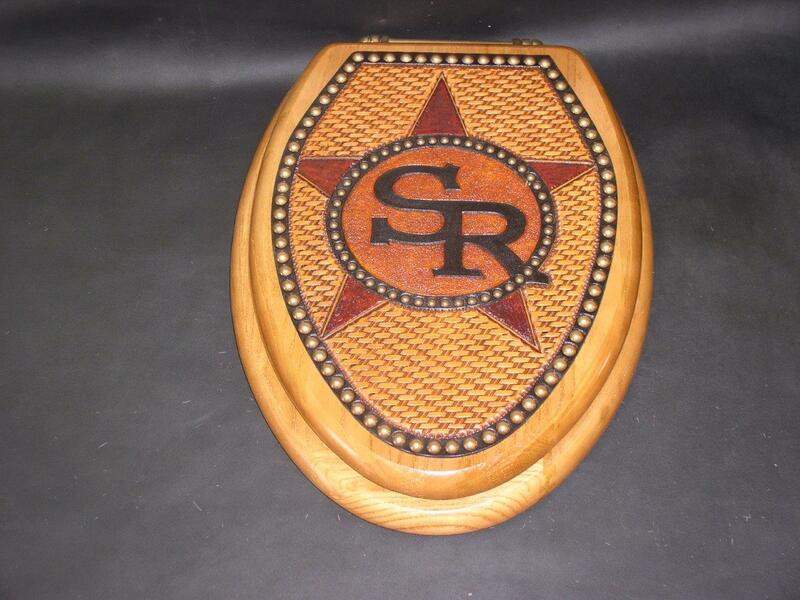 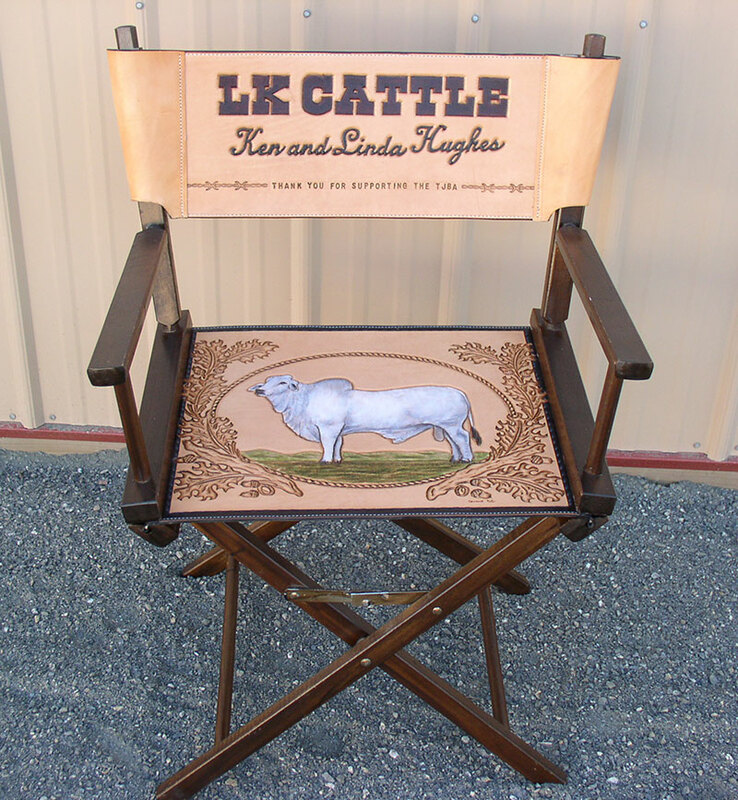 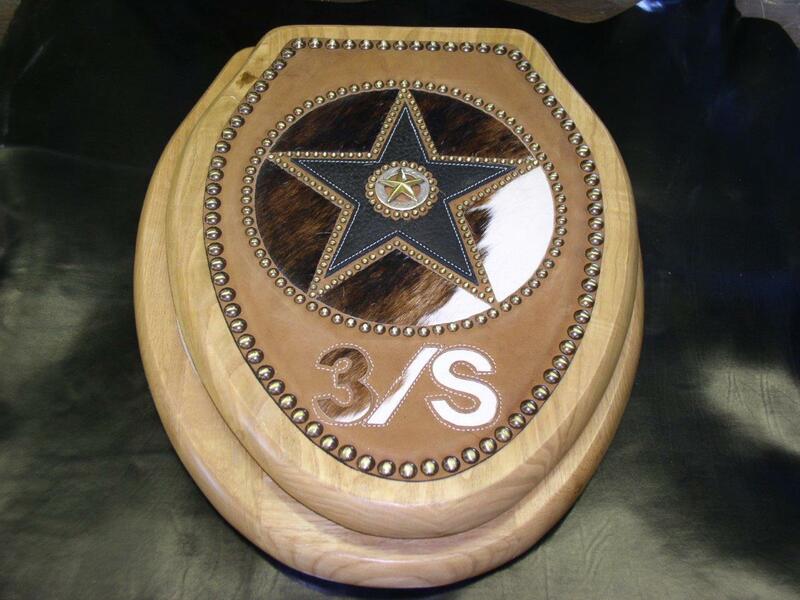 Features branding iron replica across the top. 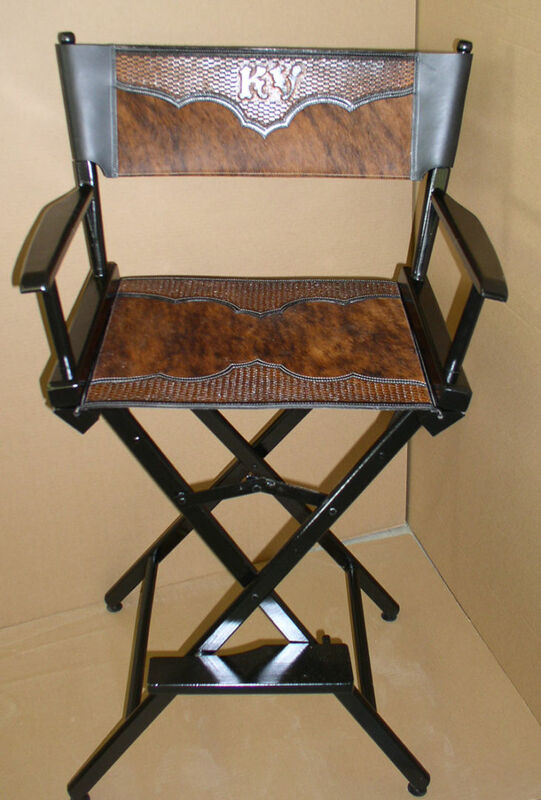 Powder coated in black or brown. 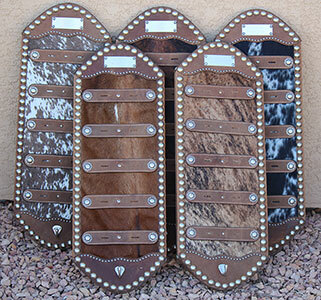 Custom brands available on irons. 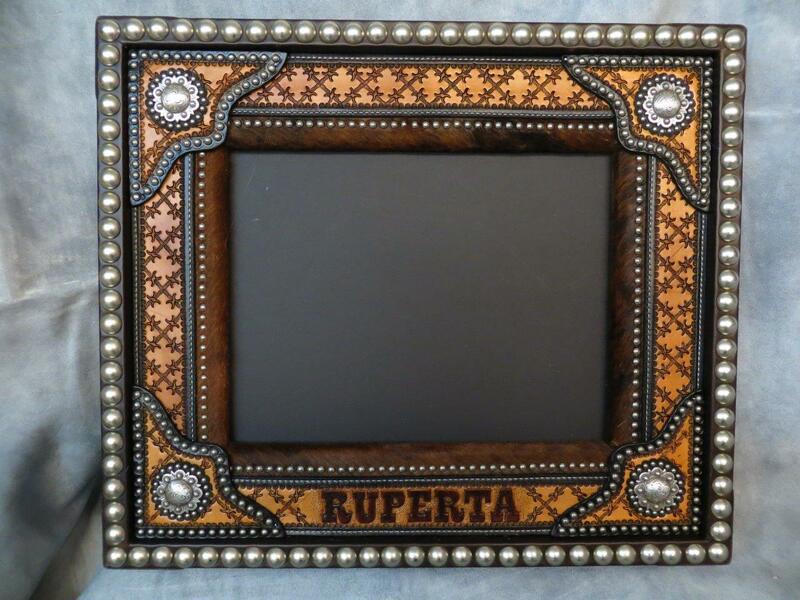 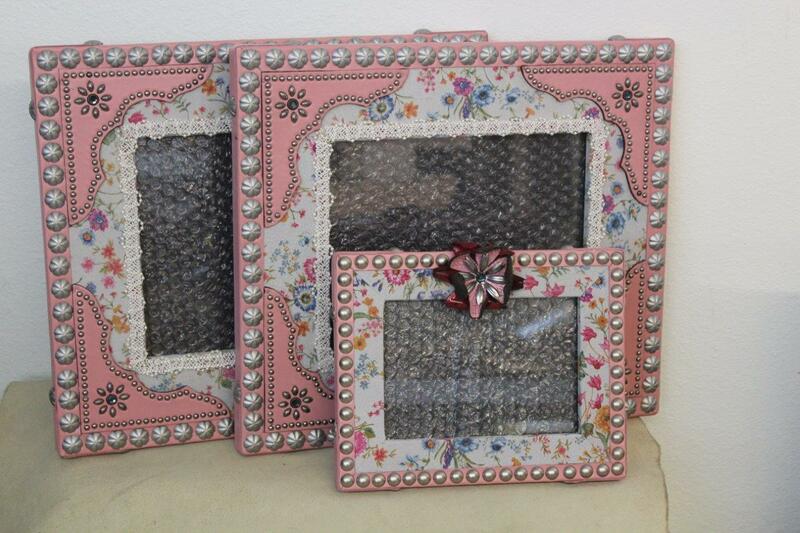 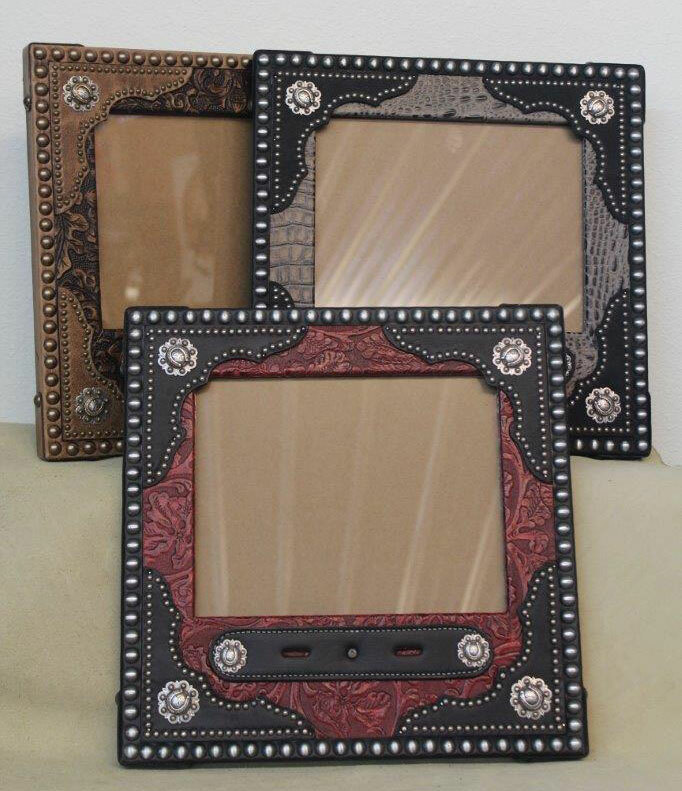 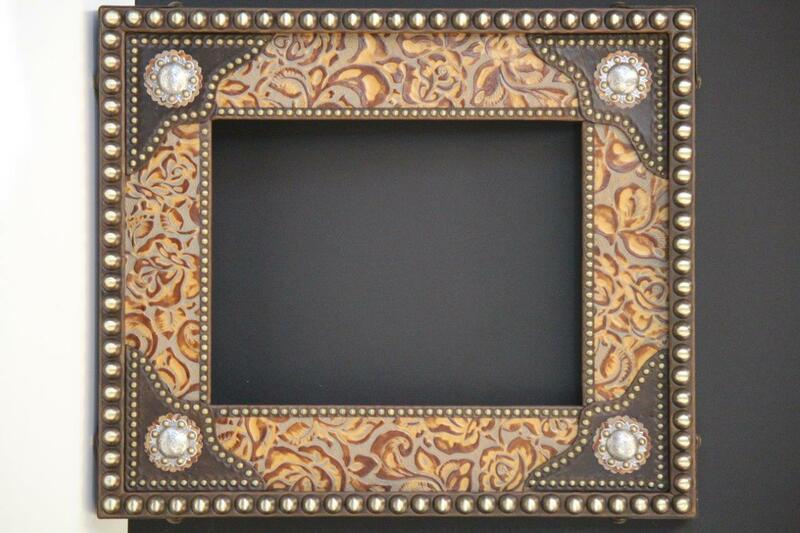 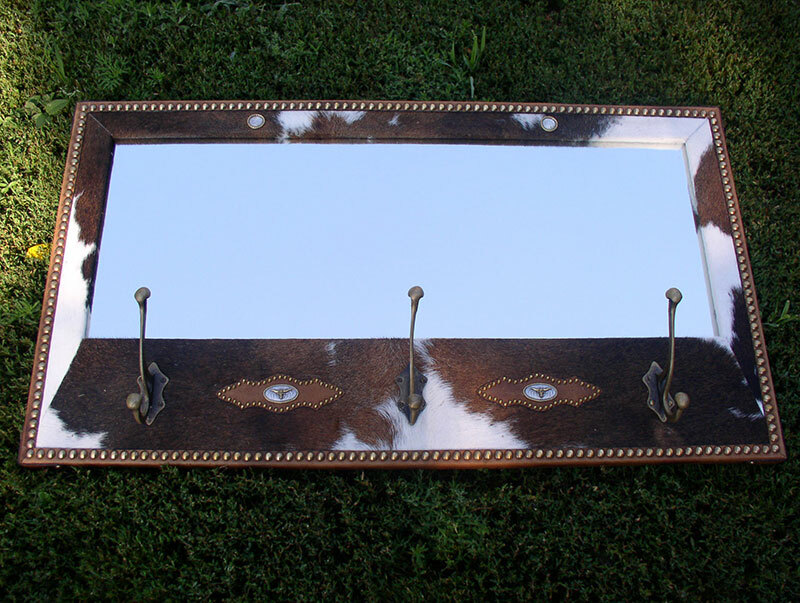 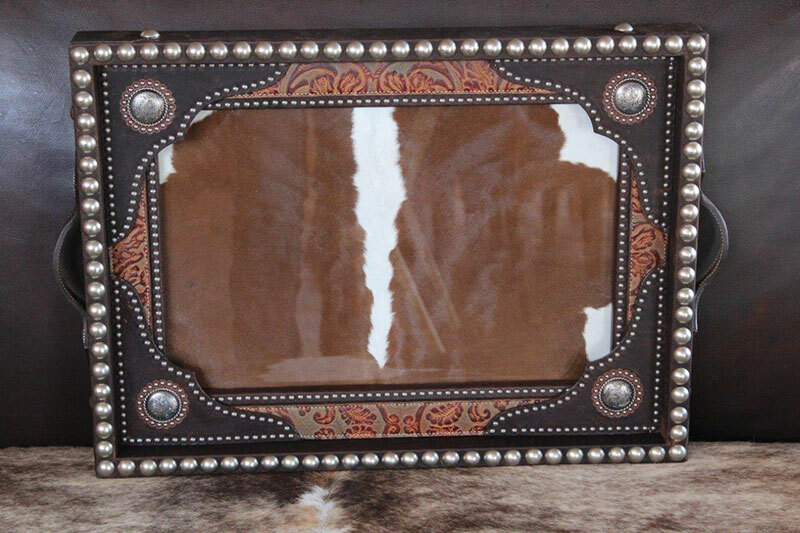 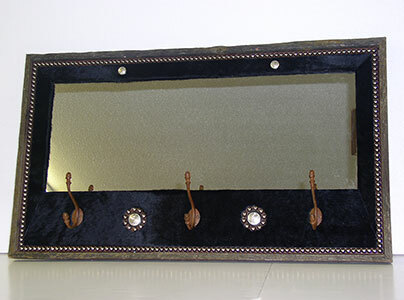 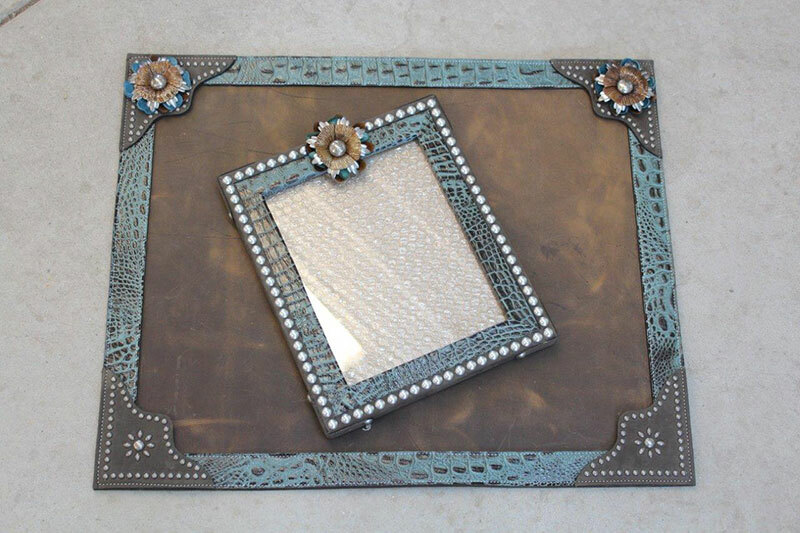 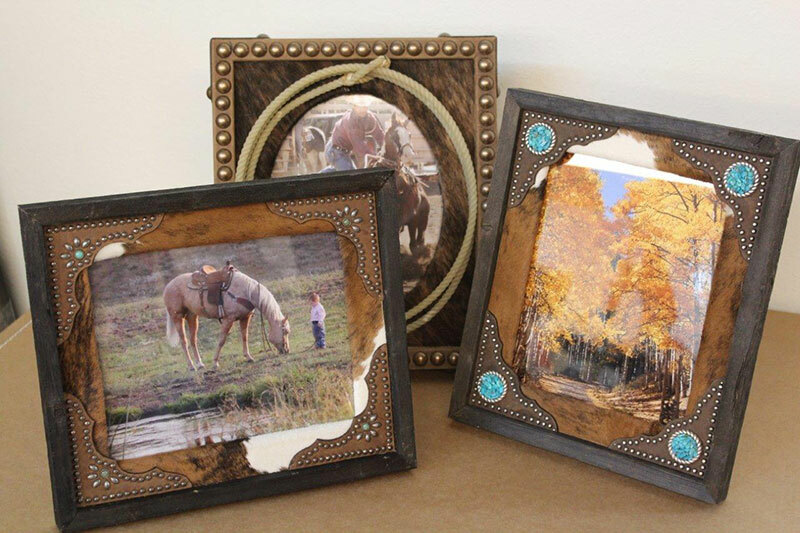 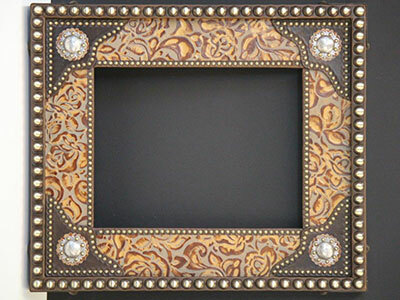 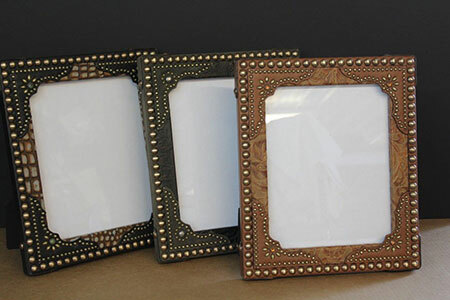 Many frame styles available to match decor. 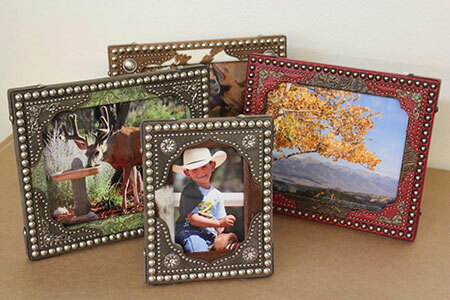 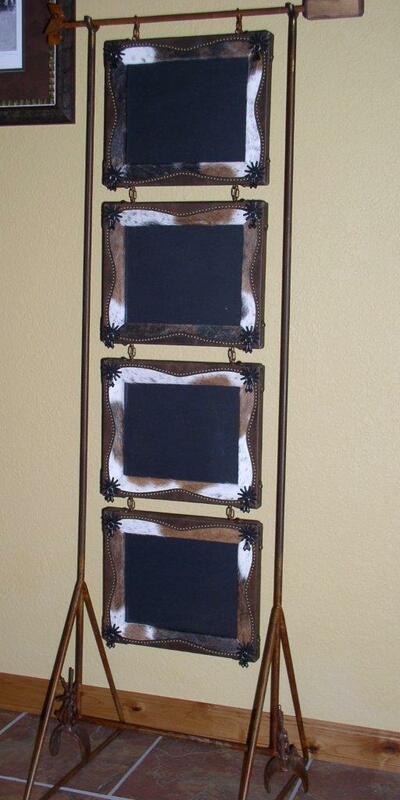 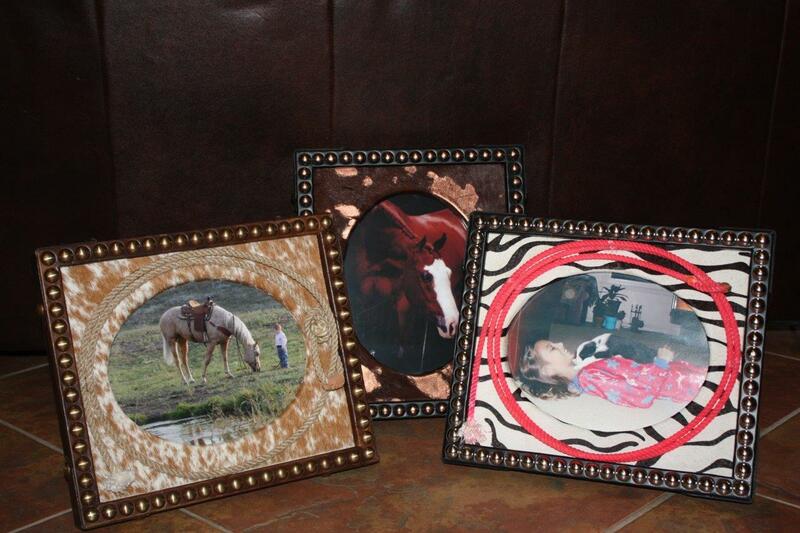 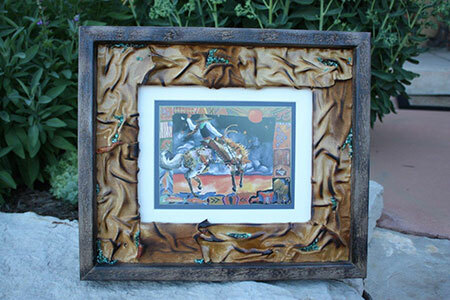 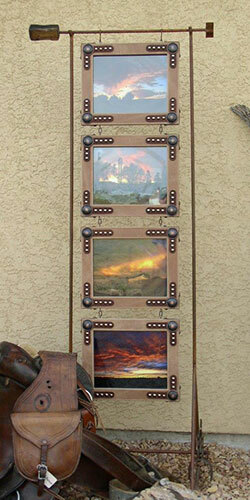 Sets of four frames also can be hung on the wall. 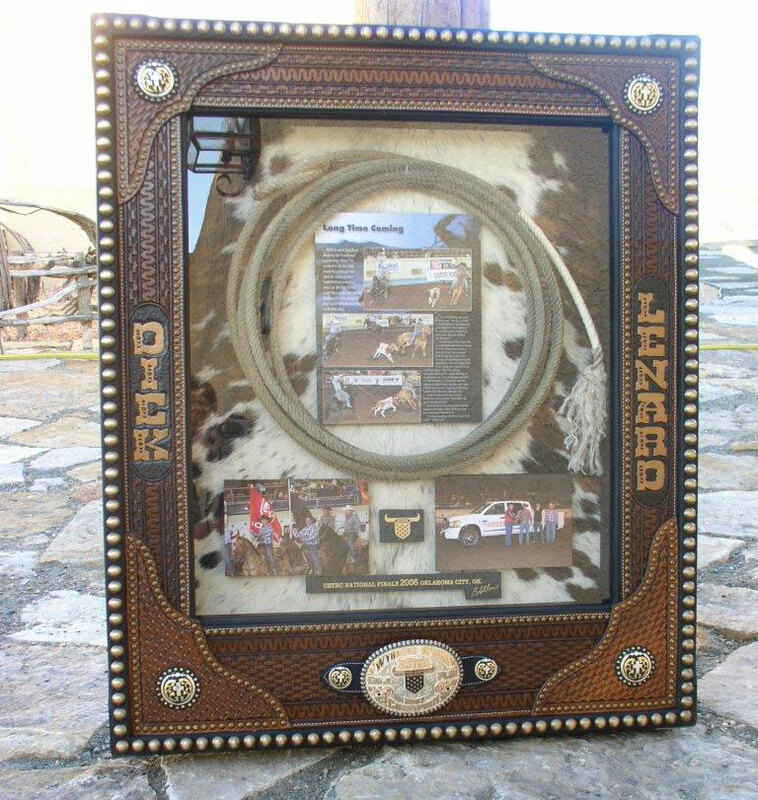 Available in 11 x 14 and 8 x 10 and larger sizes upon request. 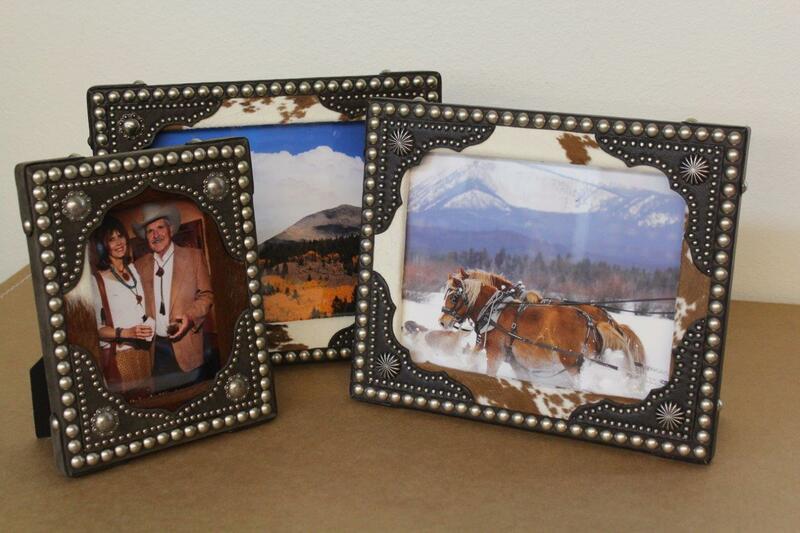 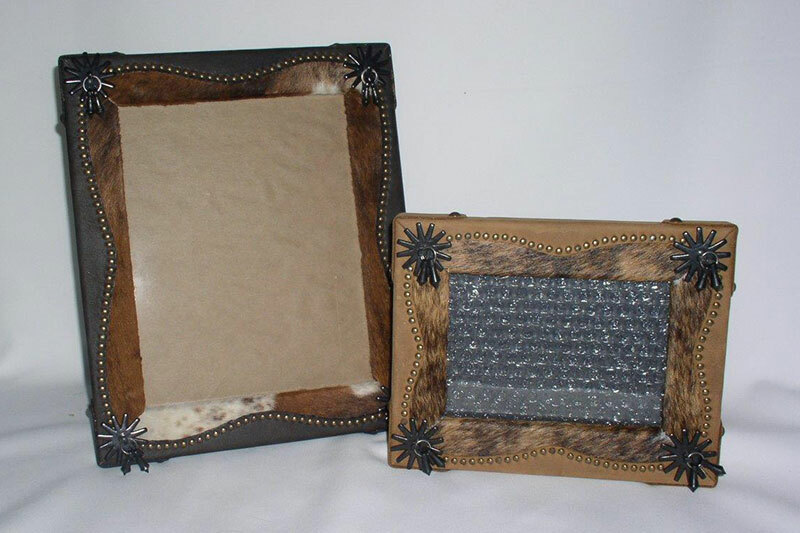 These frames feature a unique process with soft leathers, heat and finishers to create a three dimensional effect. 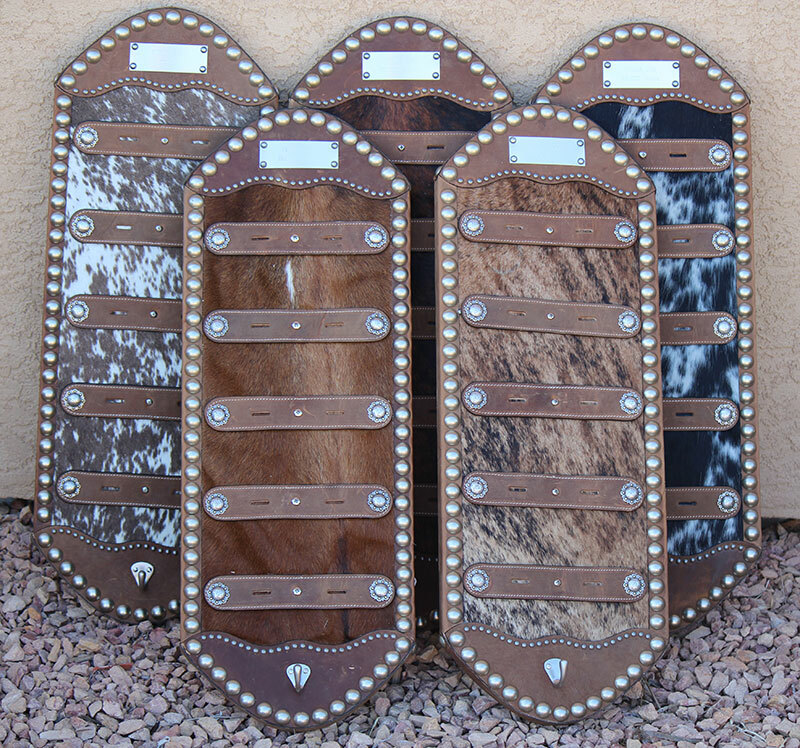 A variety of sizes and colors. 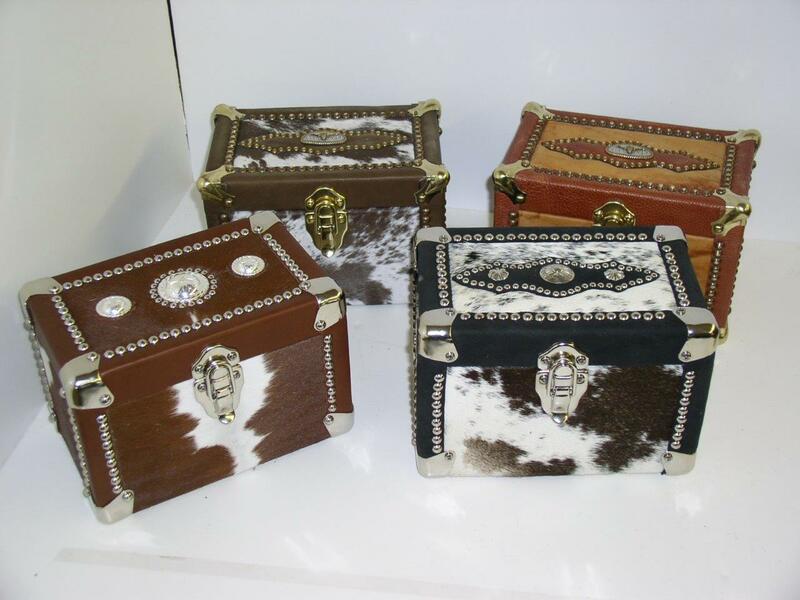 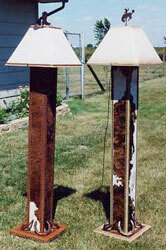 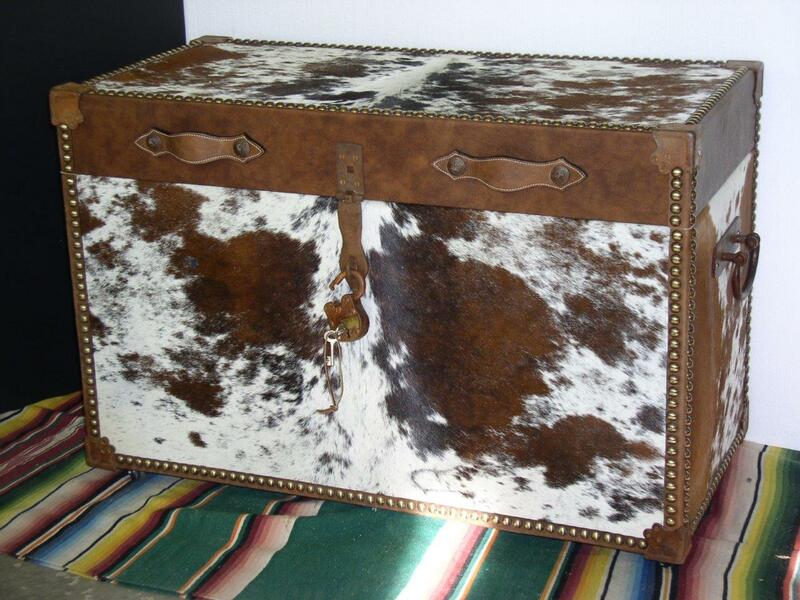 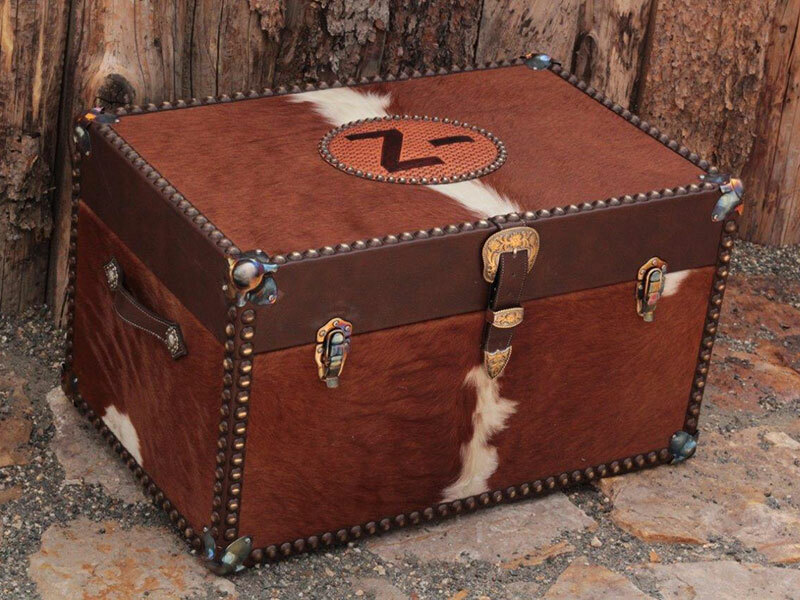 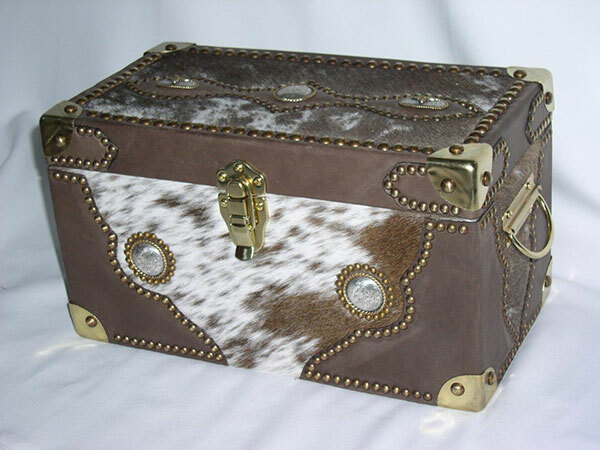 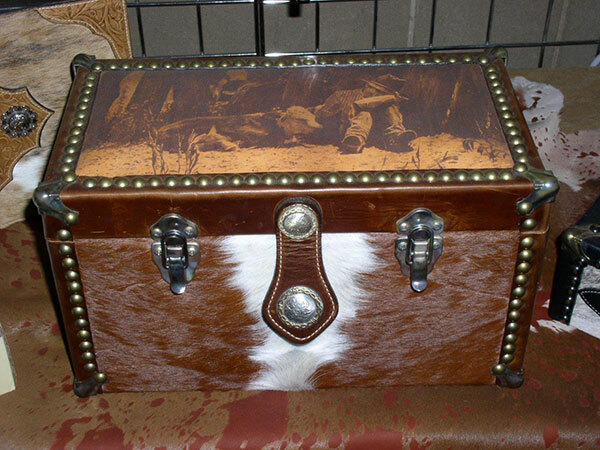 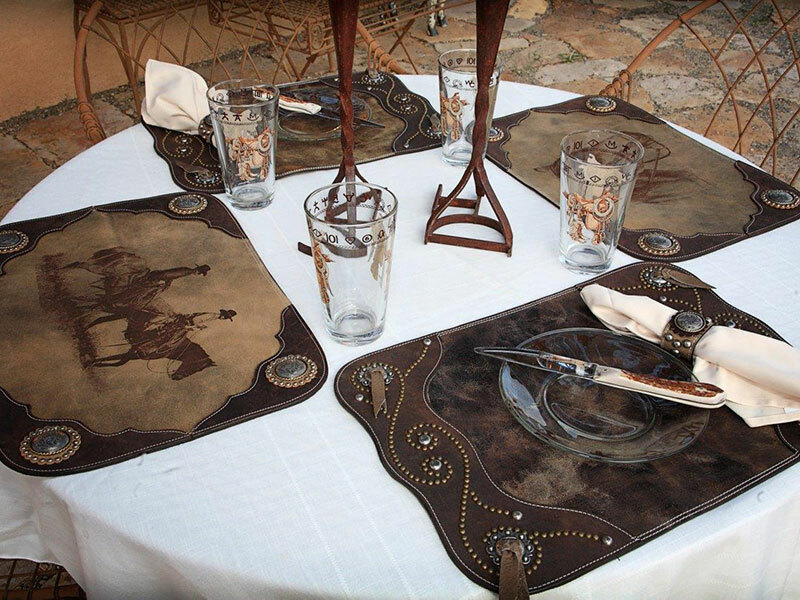 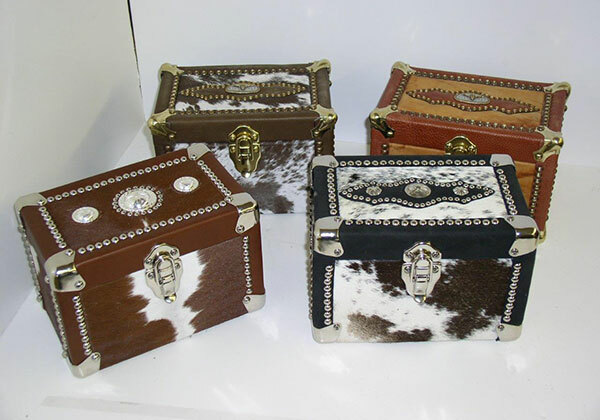 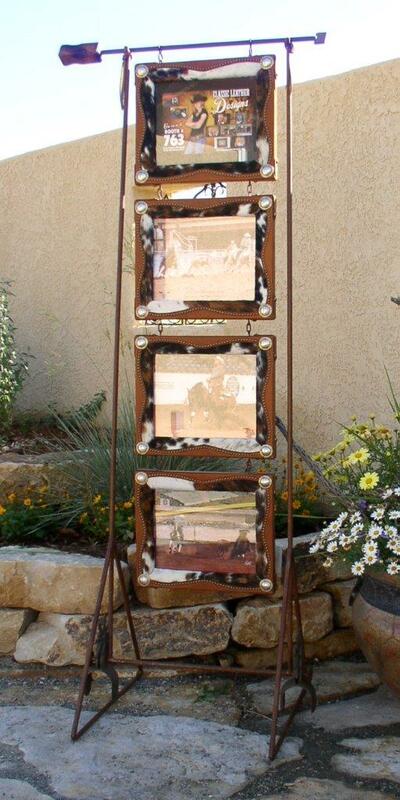 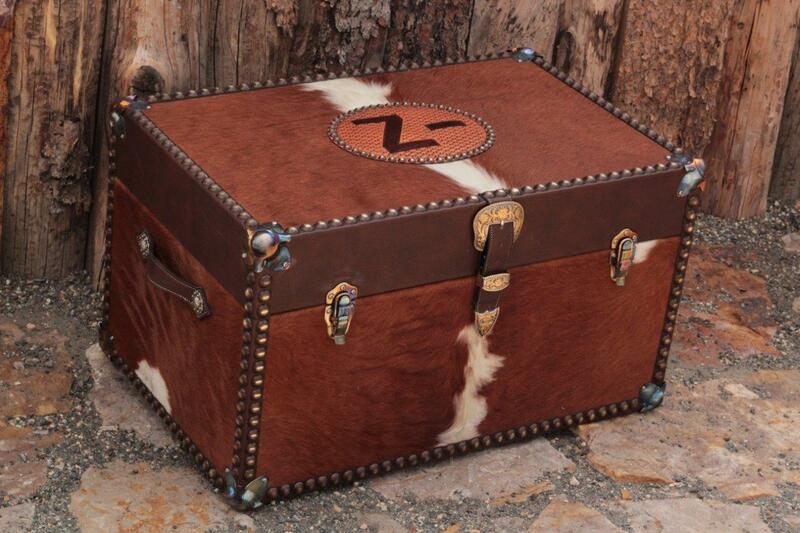 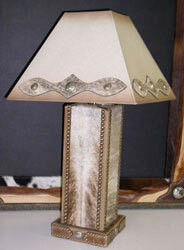 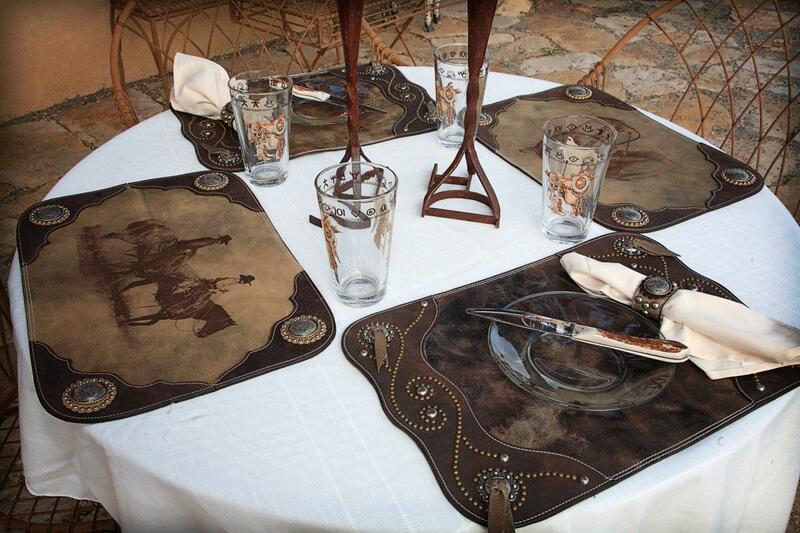 These lamps are made of hair on cowhide and garnished with rustic leathers, nail heads and ponchos. 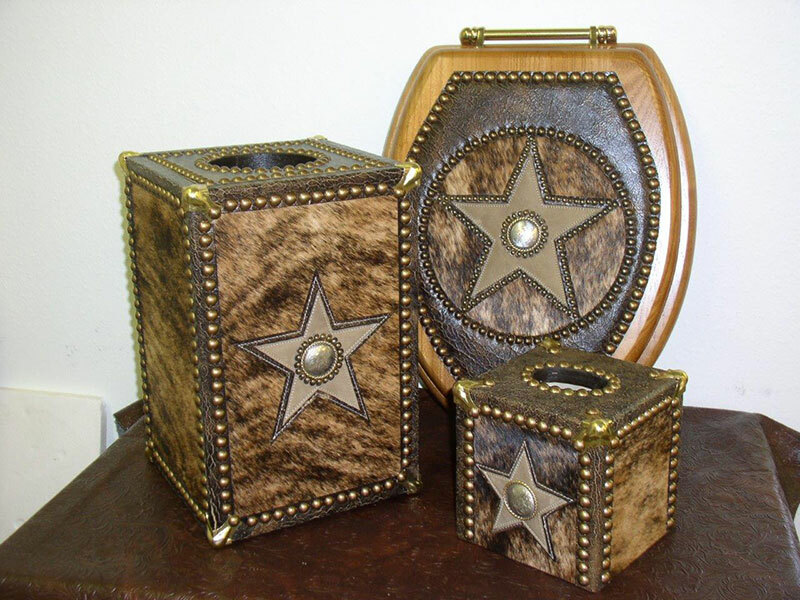 Each lamp comes with a leather-like paper shade, garnished with matching leather and conchos 3-way switch. 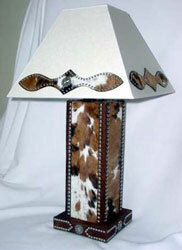 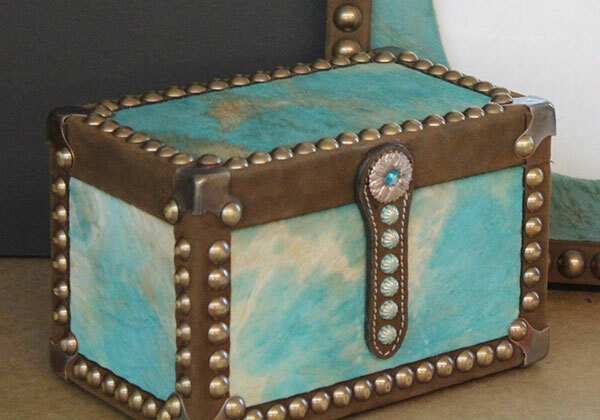 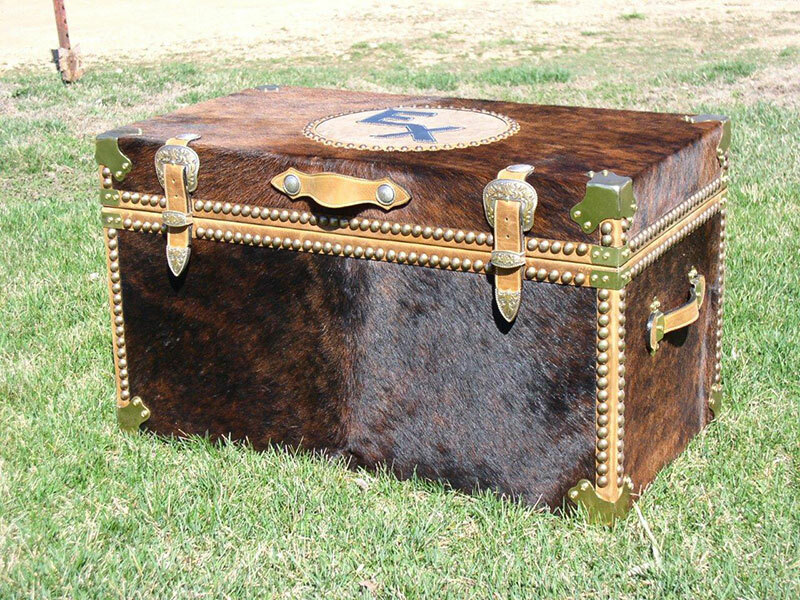 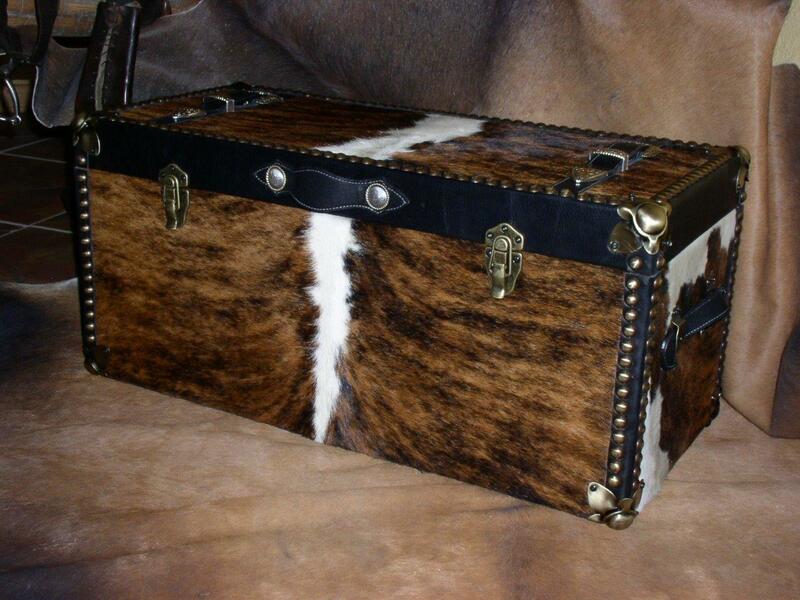 Prices may be more if customer chooses more expensive materials or rawhide or pigskin shades. 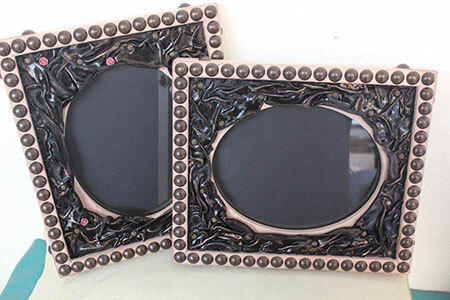 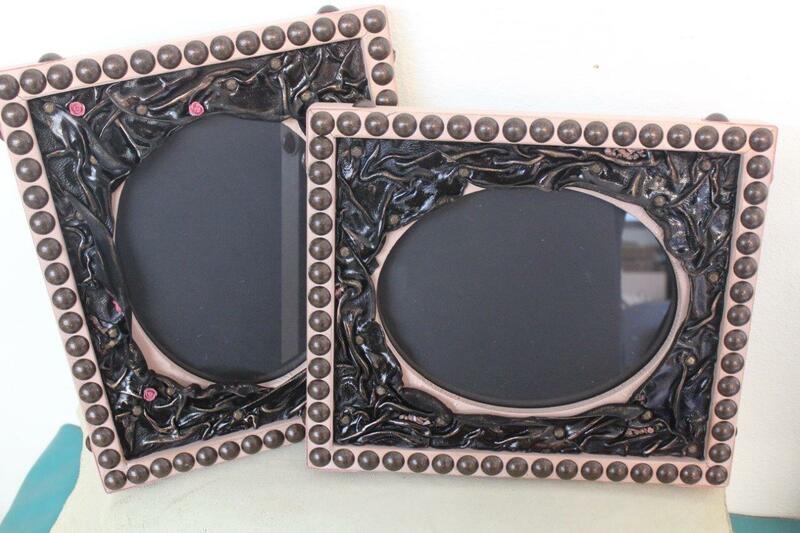 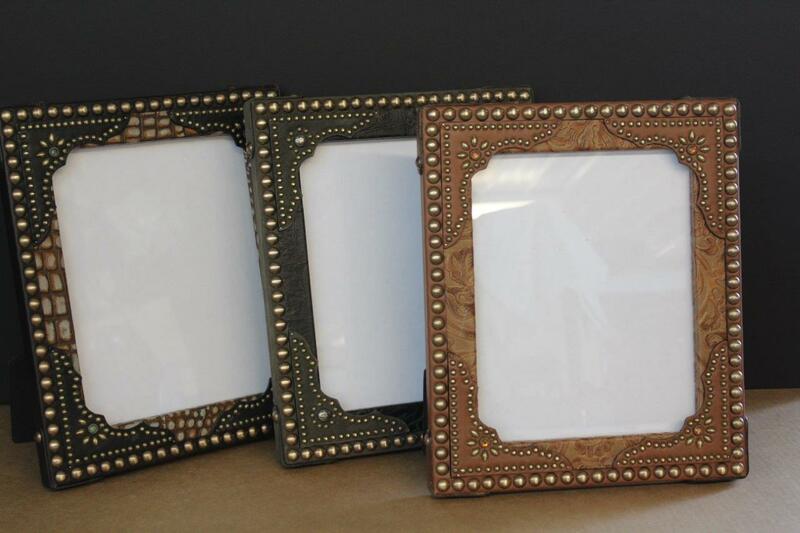 Frames available in black, walnut or natural finish. 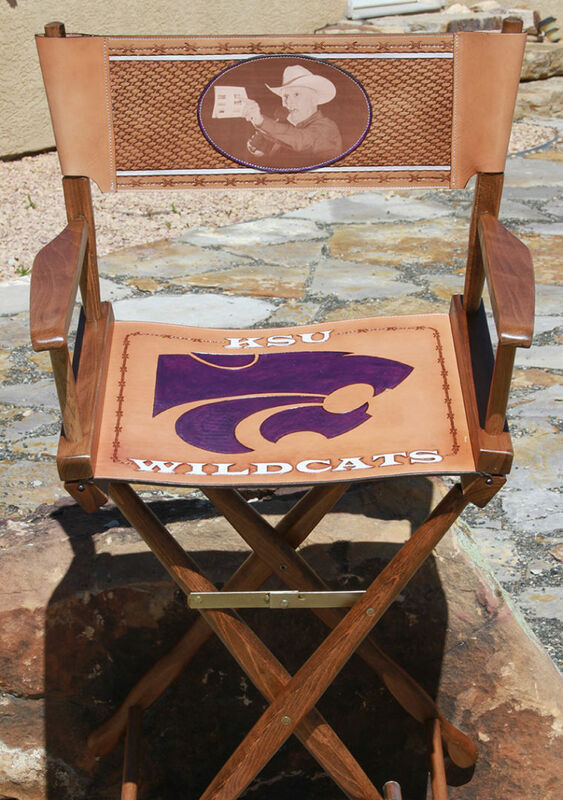 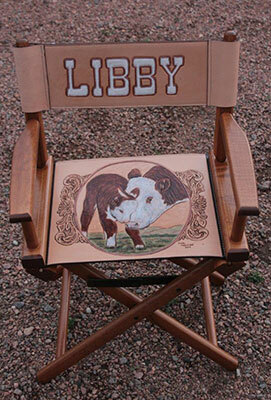 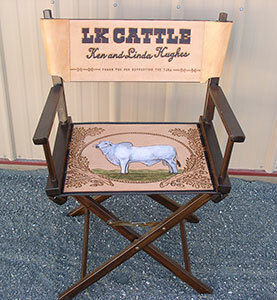 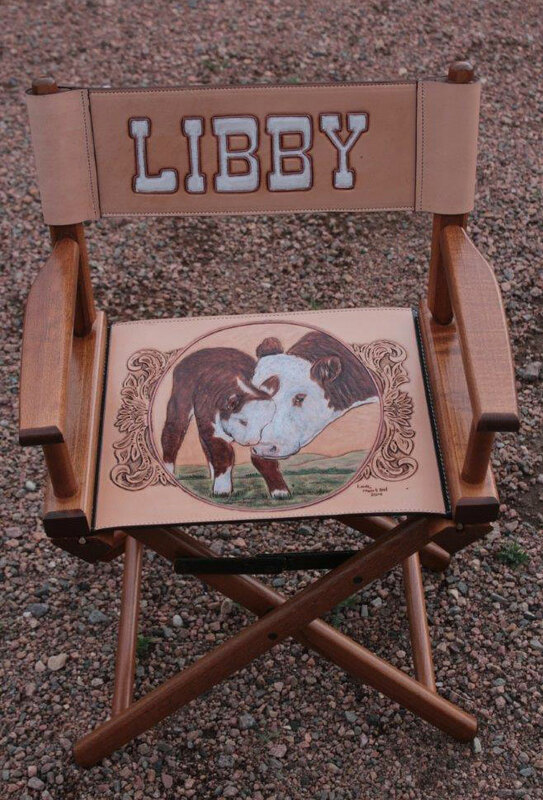 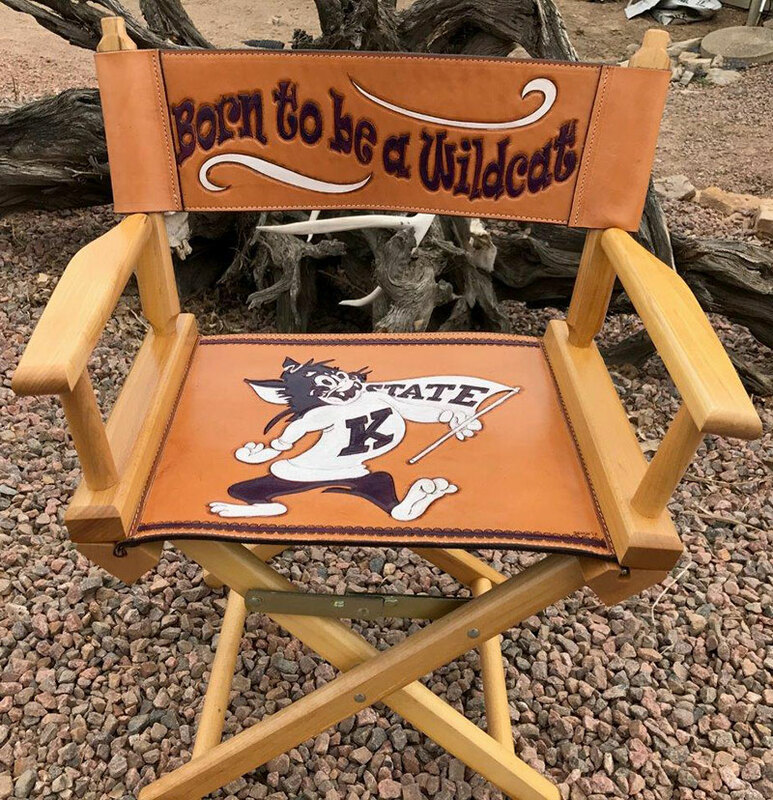 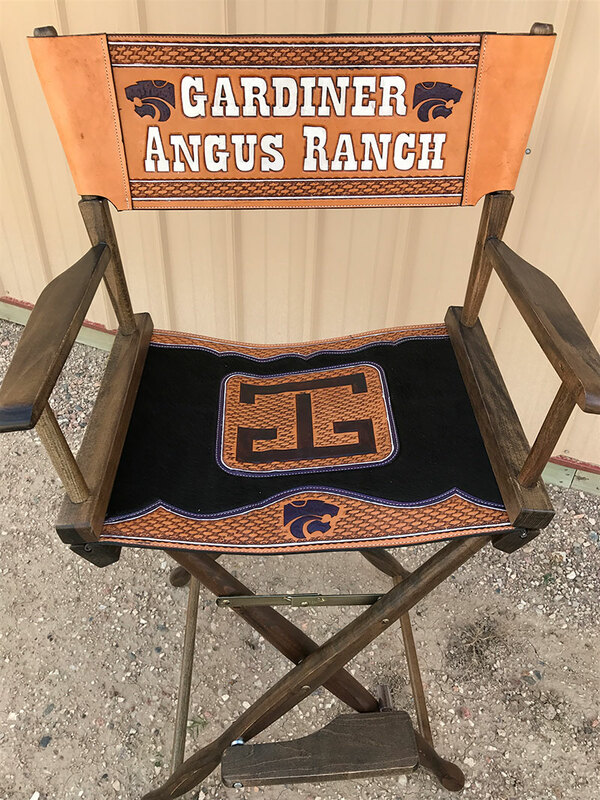 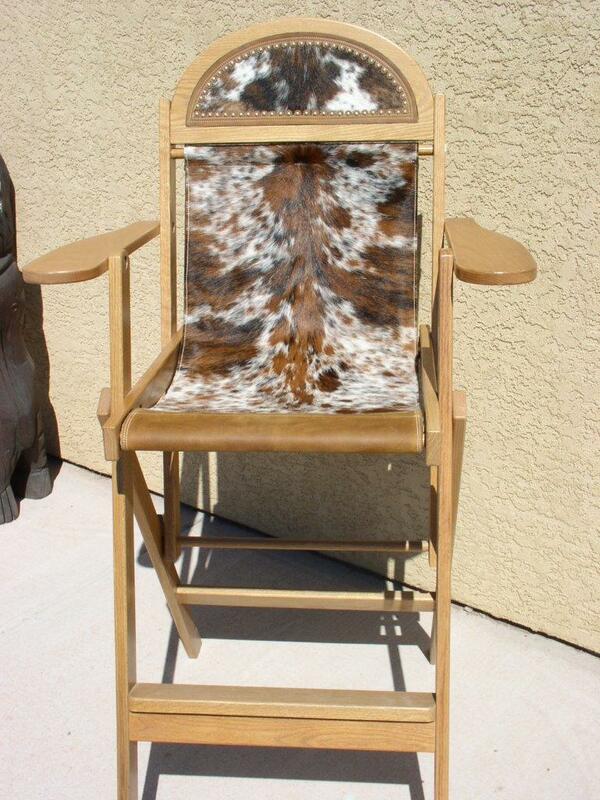 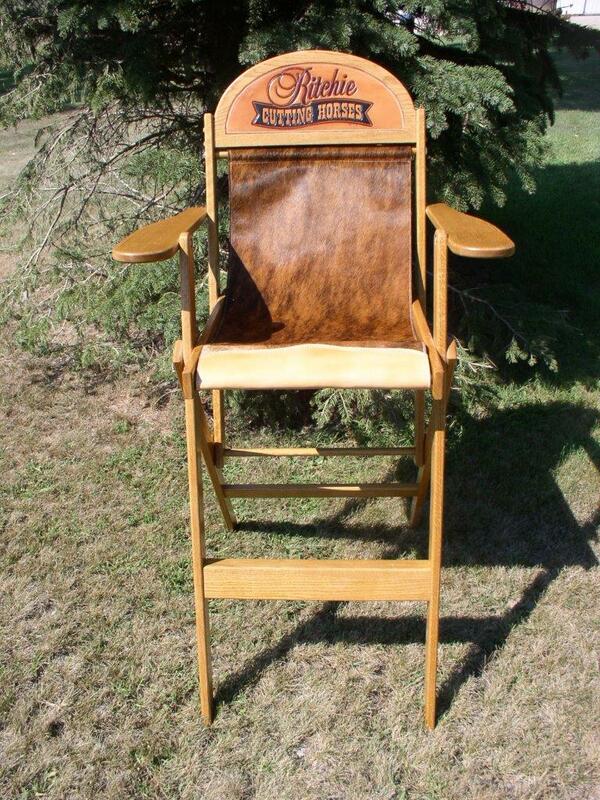 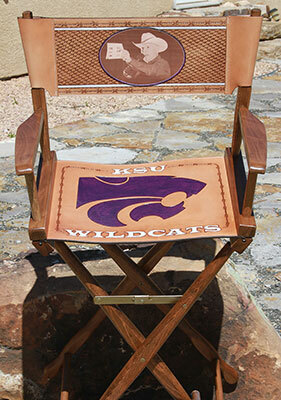 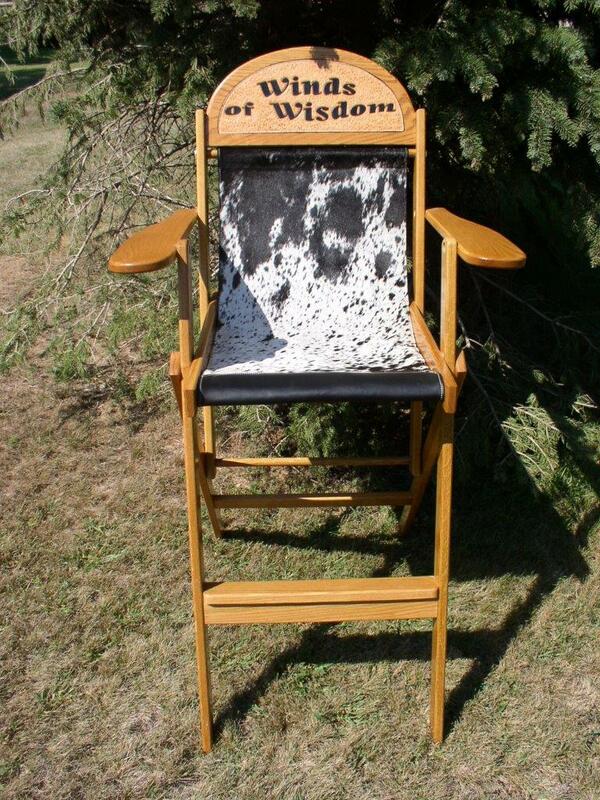 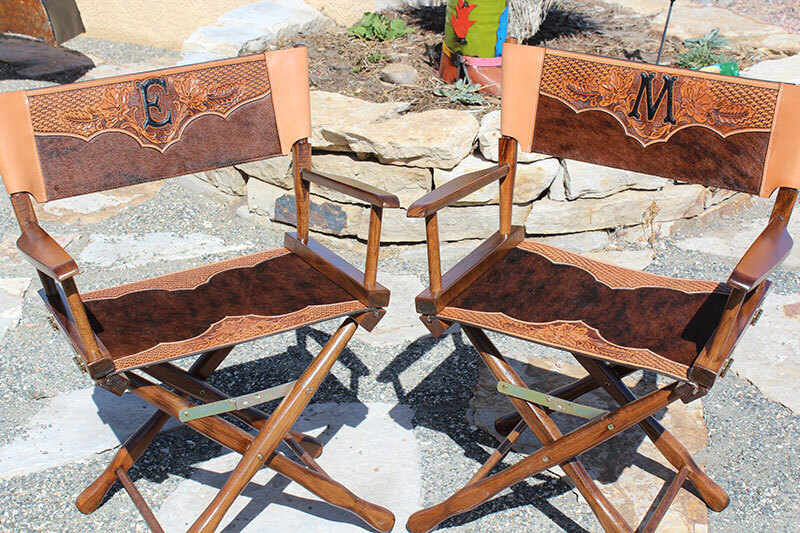 This handmade oak chair with leather seat is the ultimate in director chairs. 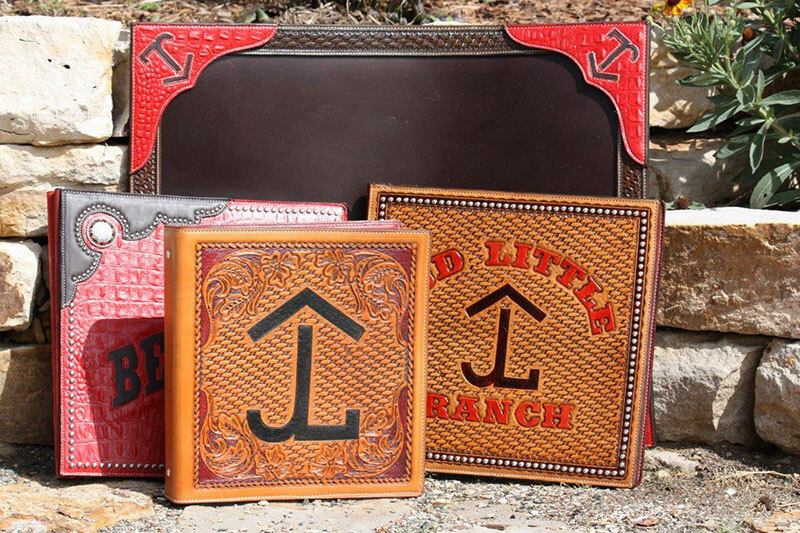 Folds to about 8” for storage or transporting.